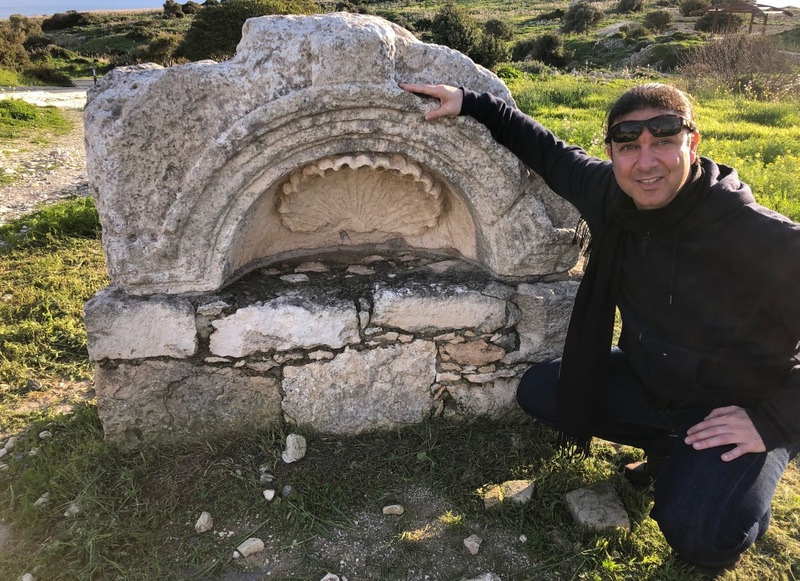 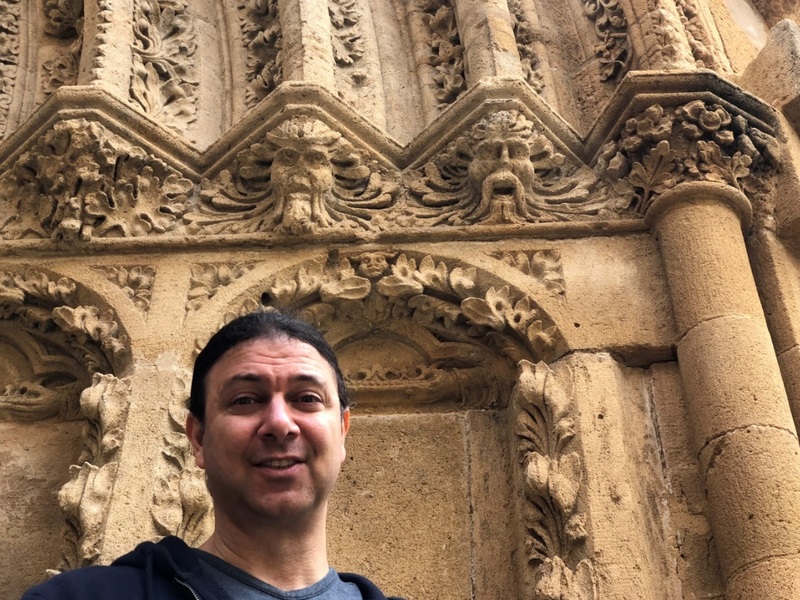 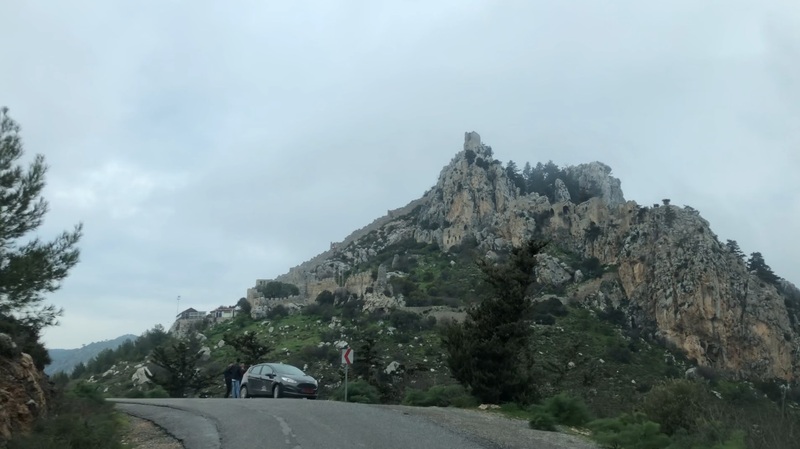 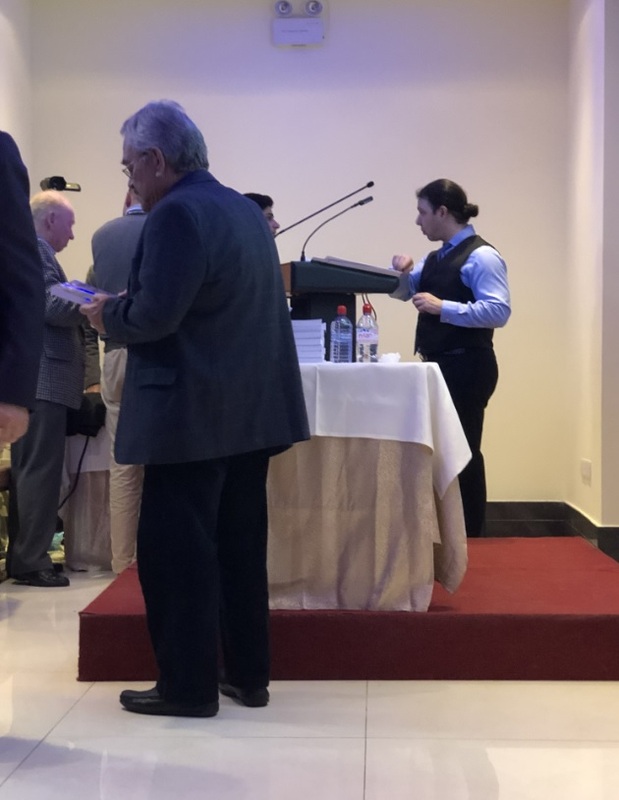 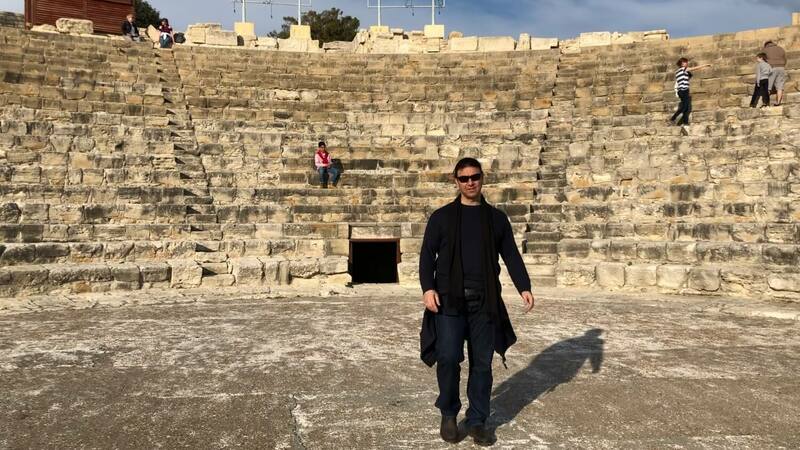 I traveled to Cyprus in February 2019 by invitation of the Brotherhood of Saint Hilarion to present a 2-hour lecture on my research. 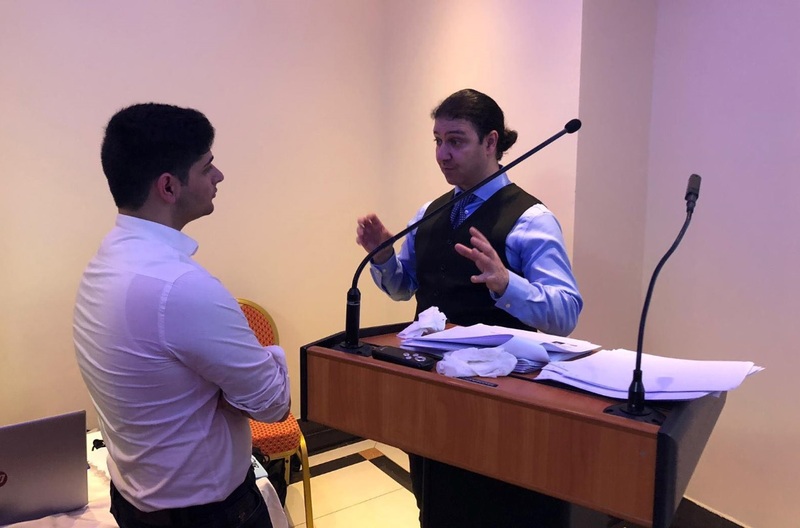 I´ve been speaking at events in various countries for many years (England, Italy, Peru, Egypt, Spain, Mexico) but this was my first time in Cyprus. 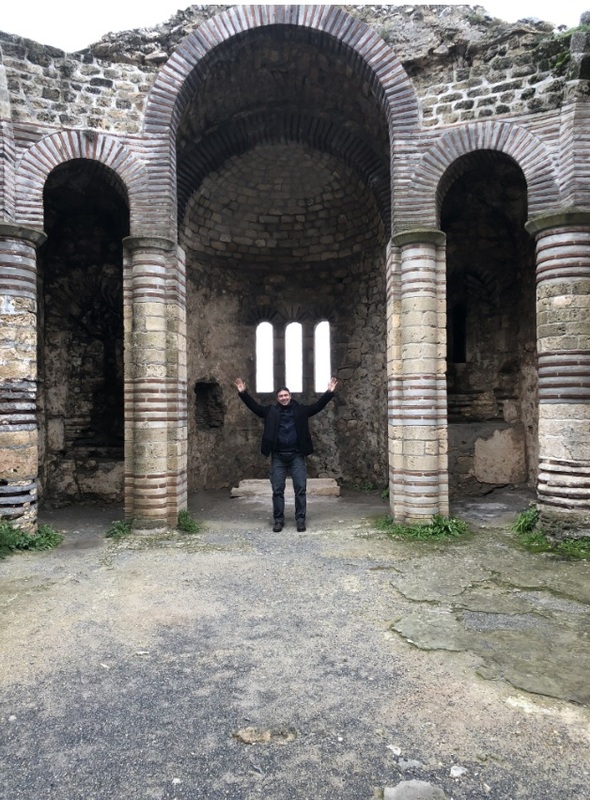 I made many amazing new friends. 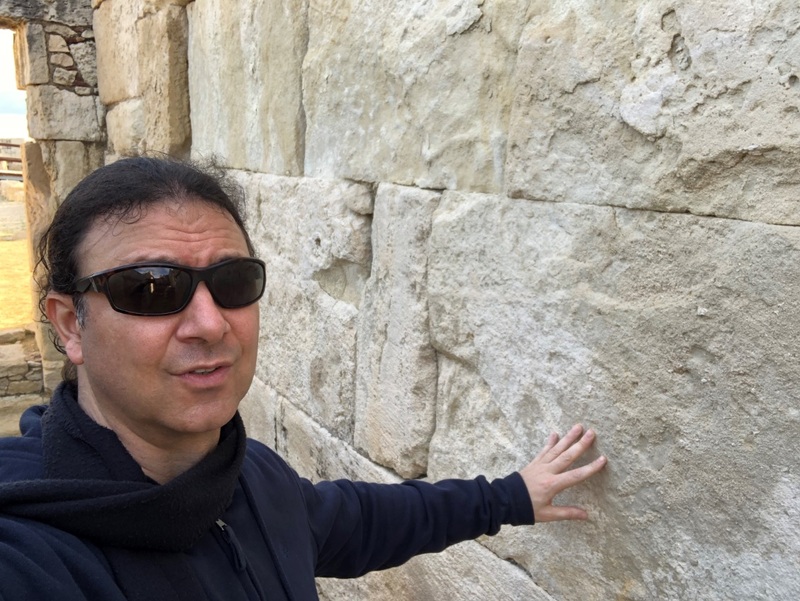 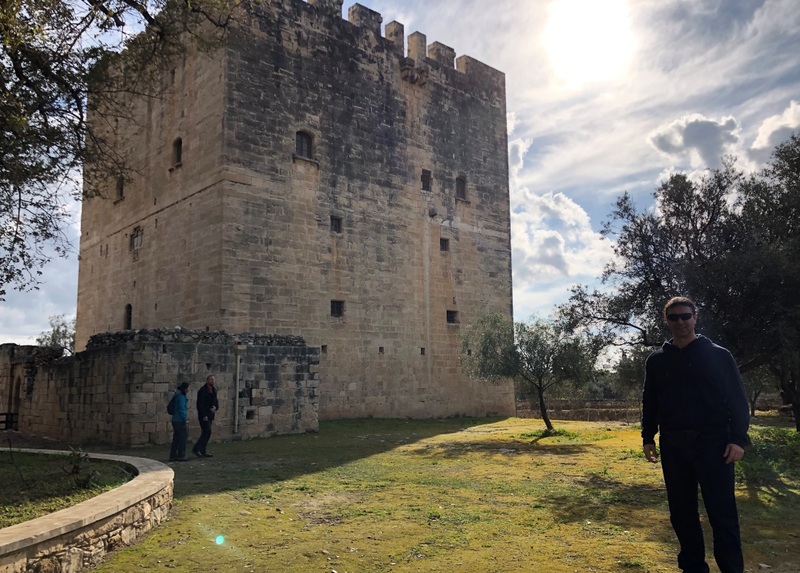 Over the course of a week, they brought me to a series of fascinating ancient, megalithic, and medieval archaeological sites. 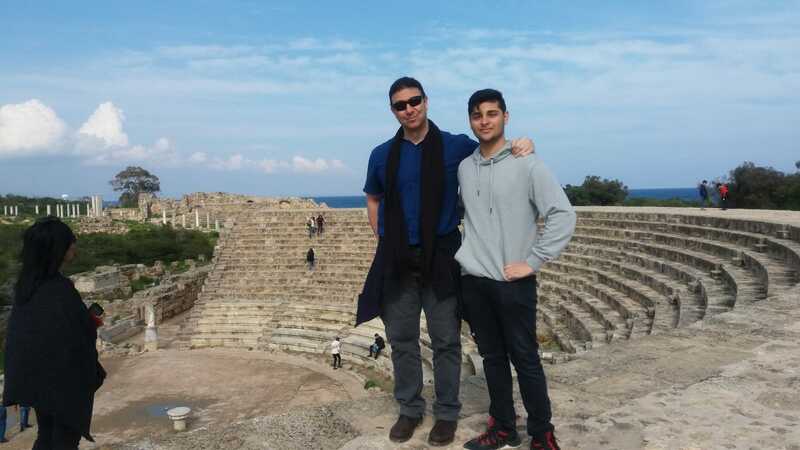 Cypriots are warm and wonderful people. 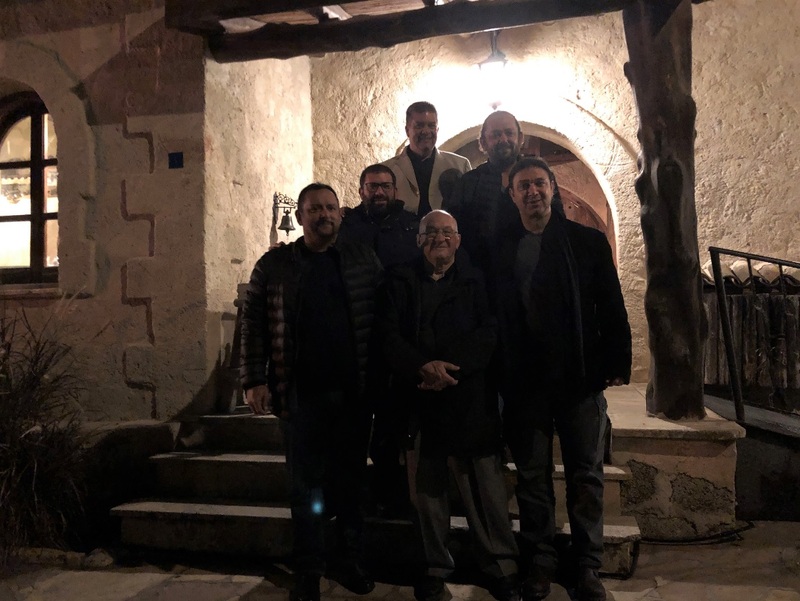 Words can´t express my gratitude for their generous hospitality. 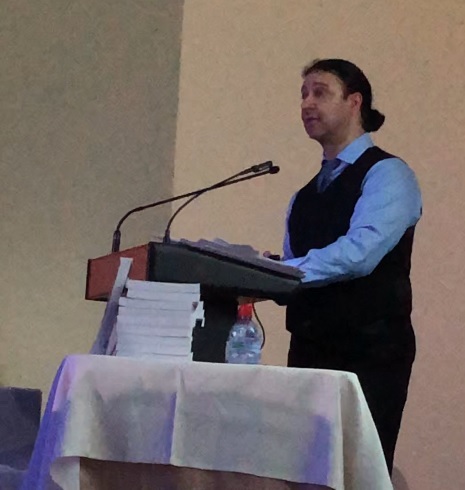 Two hundred people attended the lecture, and I was invited back in 2020, for an appearance at a much bigger venue. 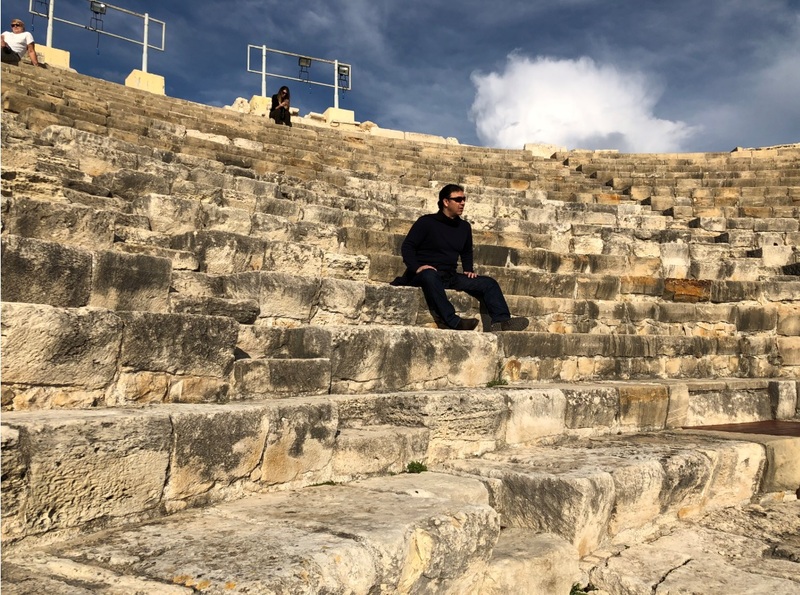 Also, a Cyprus documentary may be in the works. 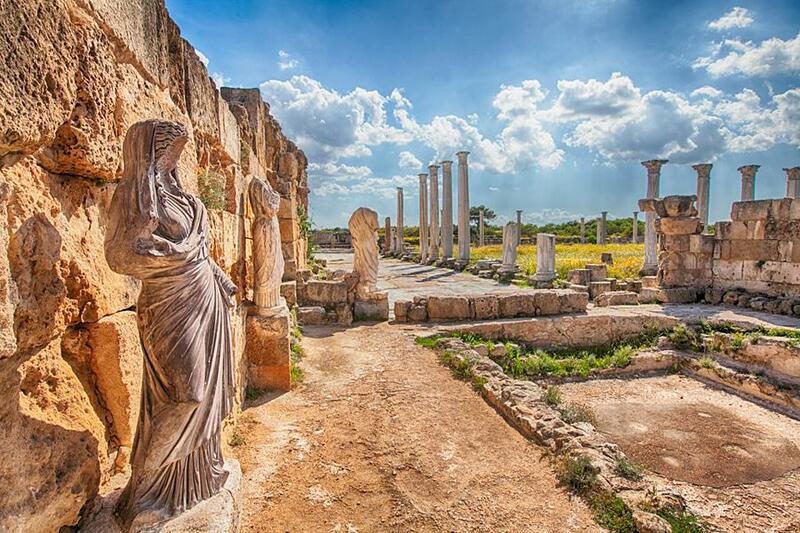 The Republic of Cyprus is an island country in the Eastern Mediterranean. 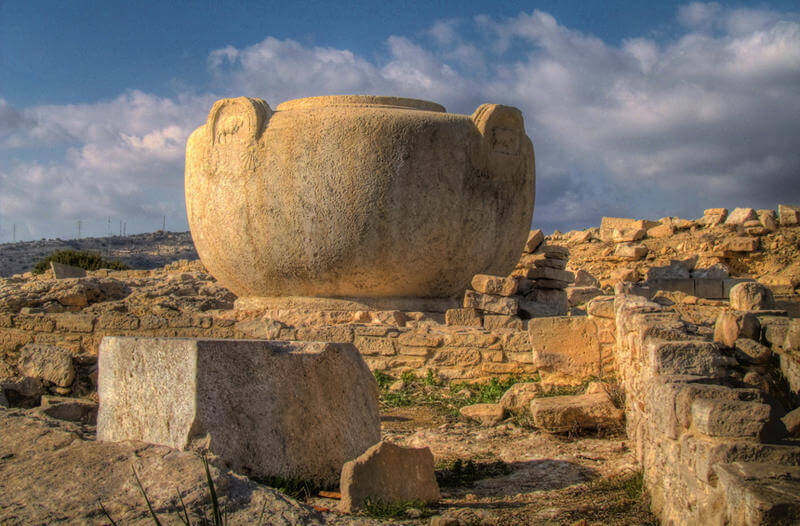 Scholars believe the earliest cultures that inhabited the island can be traced back to the 10th Millennium BC. 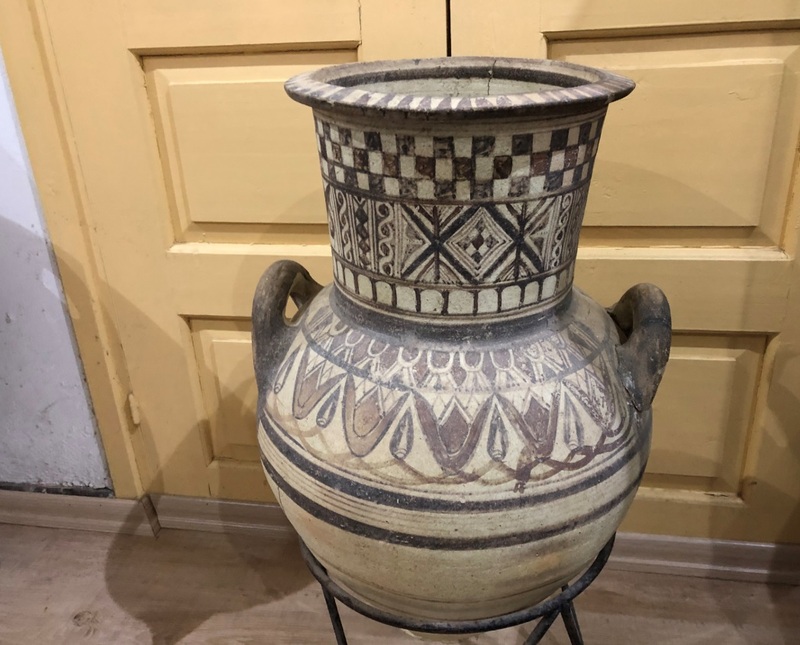 Cyprus was subsequently colonized by several major powers starting in the 2nd or perhaps 3rd millennium BC, including the Mycenean Greeks, Phoenicians, Assyrians, Egyptians, Persians, and Romans. 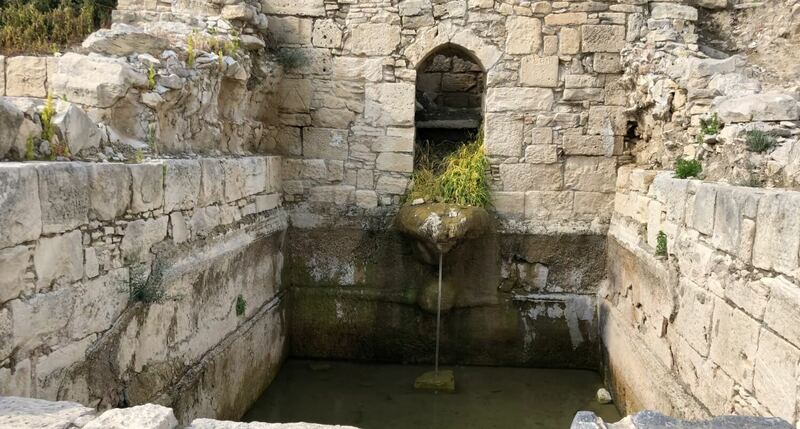 This was followed by the rule of Arab caliphates, the French Lusignan dynasty, the Venetians, and the Ottomans. 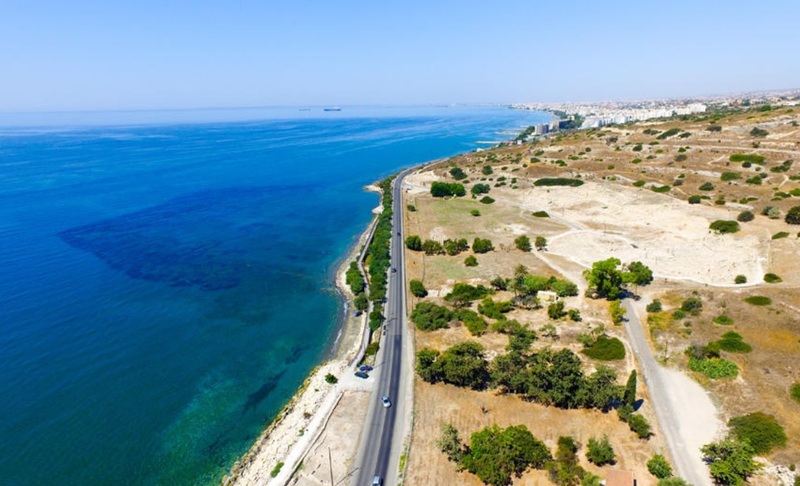 In 1914, Cyprus was annexed by Britain after more than 300 years of Ottoman rule. 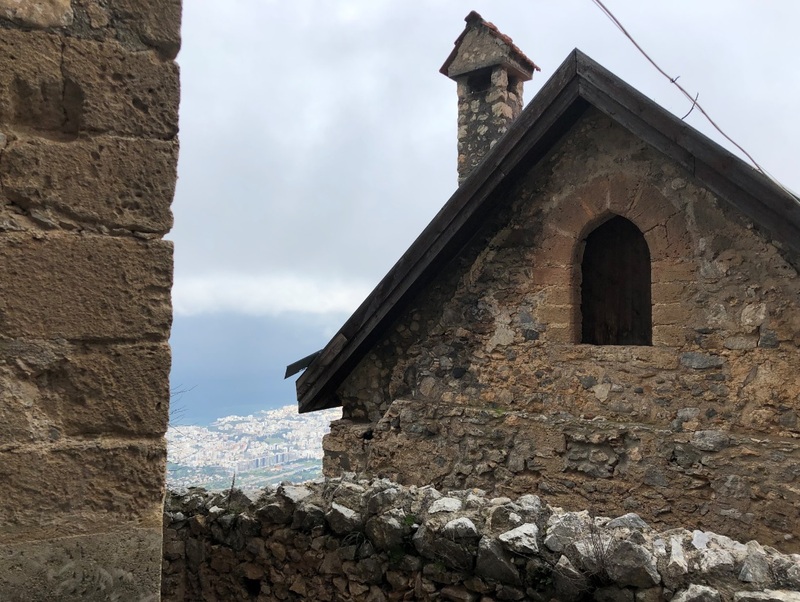 Since Britain´s annexation of the island, Cyprus’s modern history has been dominated by tension between its Greek and Turkish inhabitants. 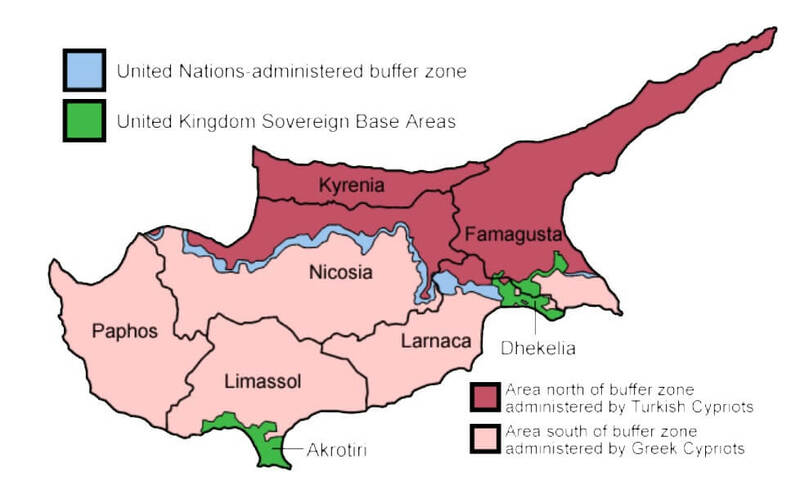 In 1955, Greek Cypriots initiated a guerrilla war against British rule, calling for unification with Greece. 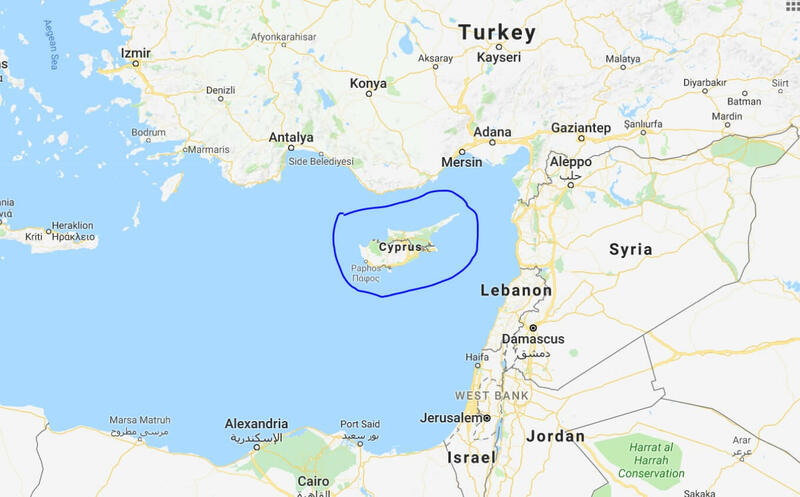 At the same time, many Turkish Cypriots favored a partition of the island between Greece (in the South of Cyprus) and Turkey (in the North). 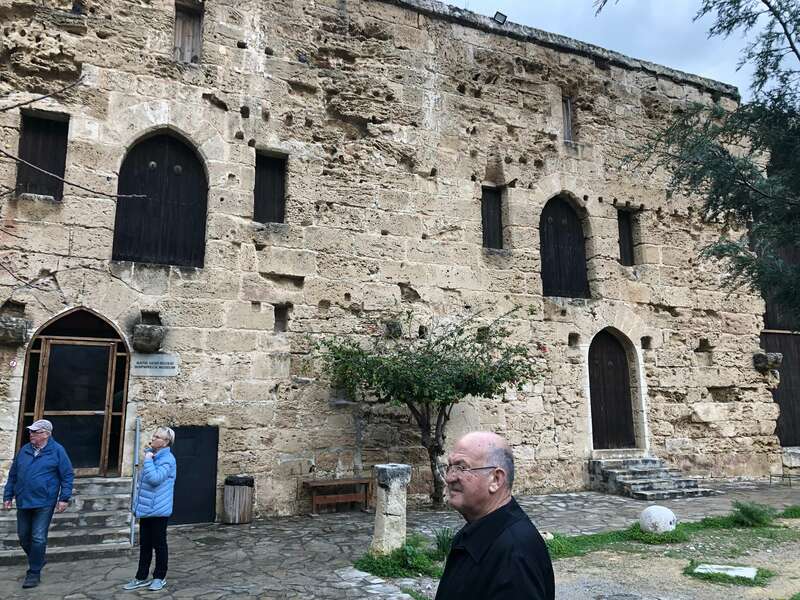 In 1974, Turkey invaded the northern part of the island in response to a military coup against Britain by Greek Cypriots which was backed by the Greek government. 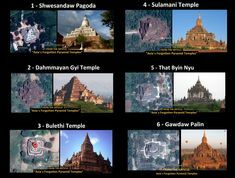 Travel restrictions were eased in 2003. 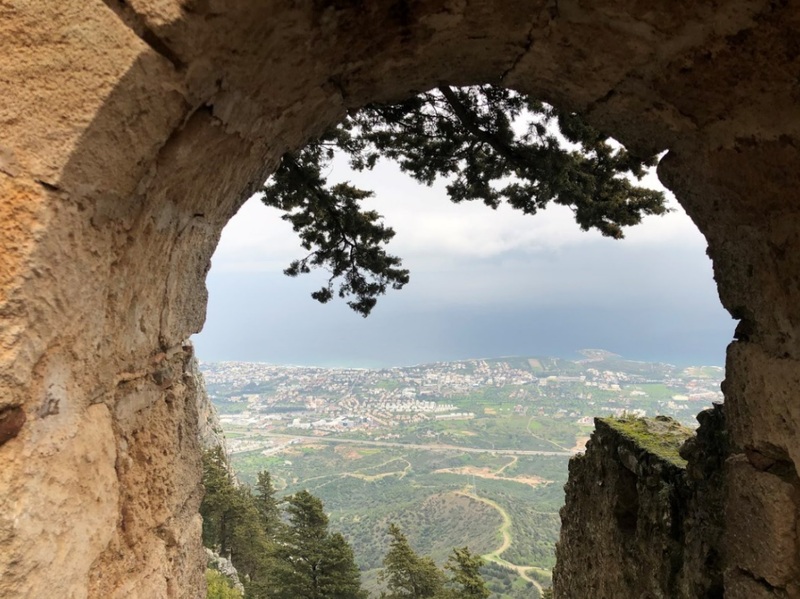 The following year, Cyprus joined the European Union, but as a divided island—Turkish Cypriots in the North and Greek Cypriots in the South. 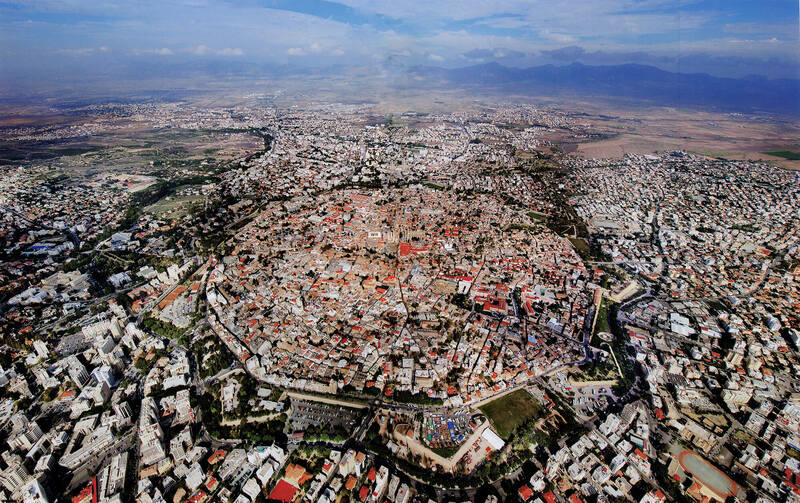 Cyprus now has approximately 1.1 million inhabitants. 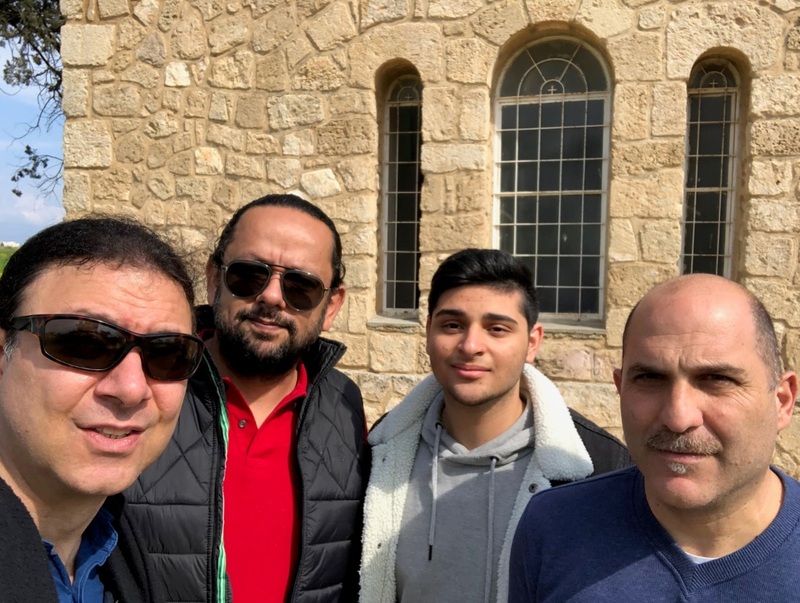 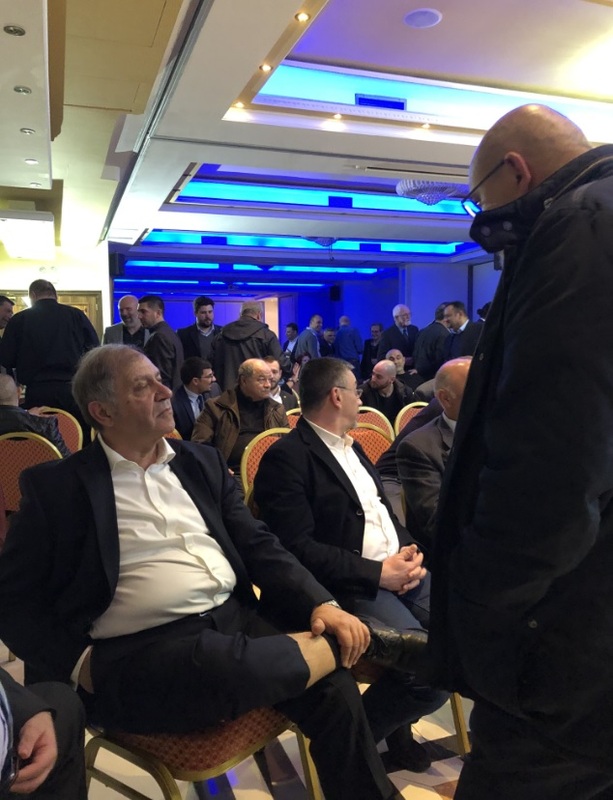 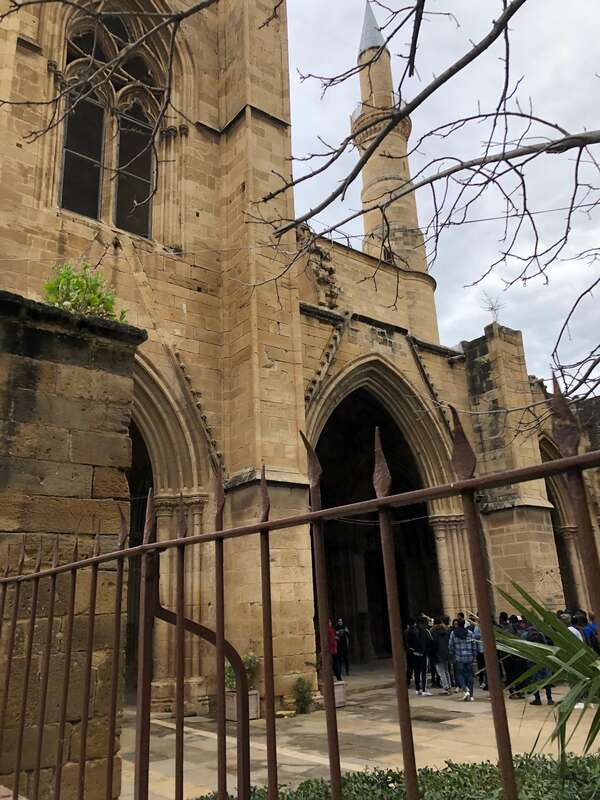 About 78 percent are “Greek Cypriots,” identifying themselves as Orthodox Christians; while roughly 18 percent are “Turkish Cypriots,” describing themselves as Sunni Muslims. 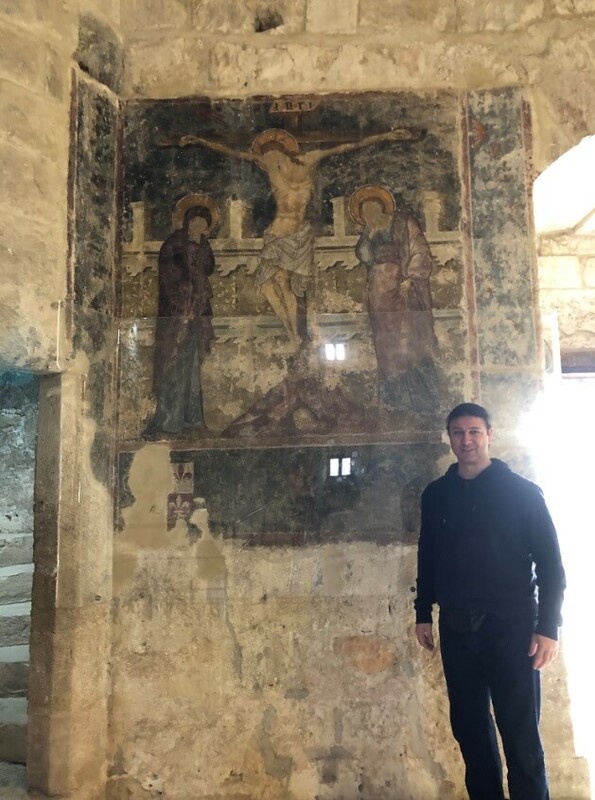 During my stay, several members of the Brotherhood of Saint Hilarion brought me to a variety of ancient and medieval archaeological sites. 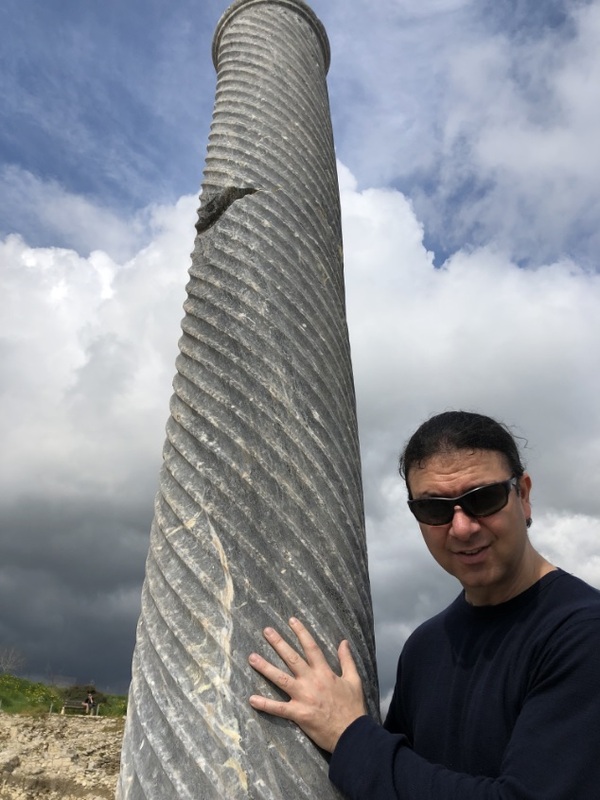 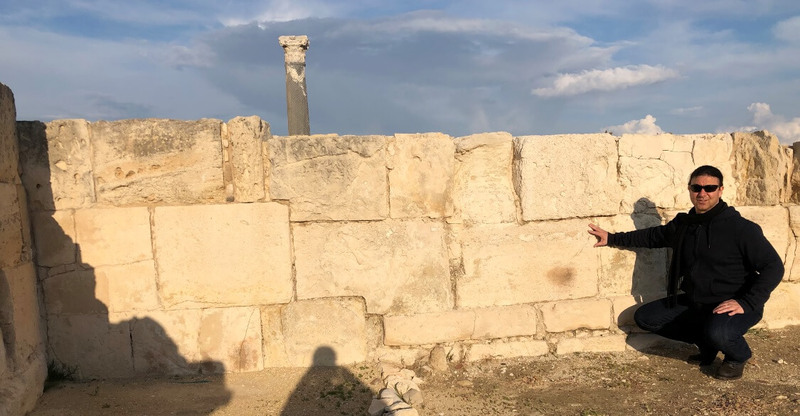 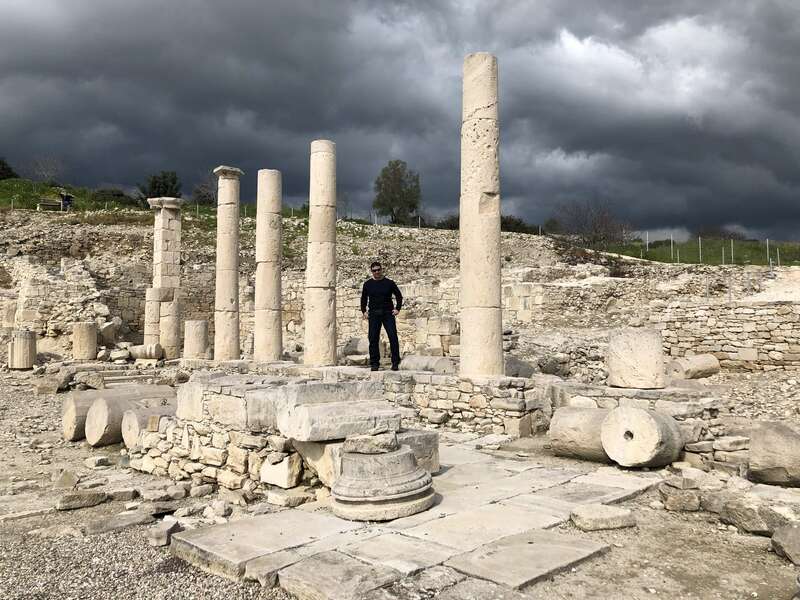 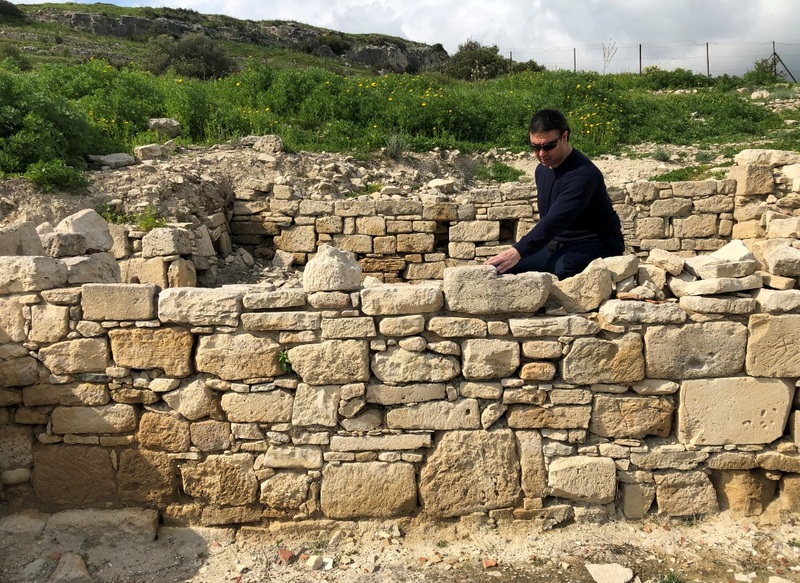 One of the most interesting places we visited lies a few miles north of the ancient city of Salamis (an ancient Greek city-state on the east coast of Cyprus). 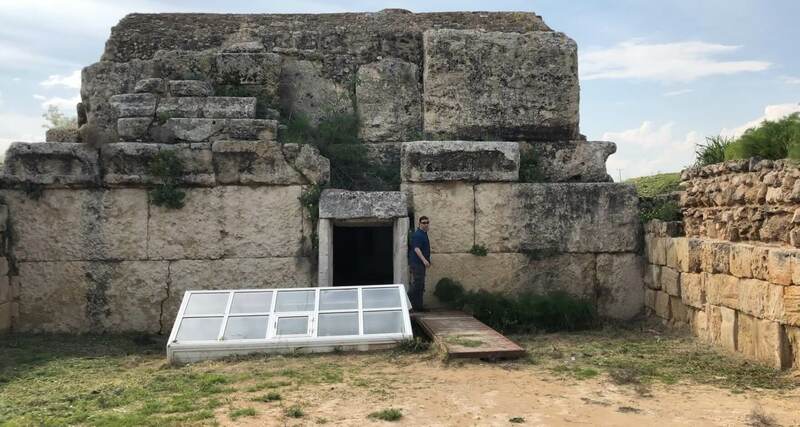 Here we visited a series of megalithic tombs and temples that are described by scholars as the “Royal Tombs” or the “Tombs of the Kings.” These magnificent structures are thought to date from between the 8th and 7th centuries BC, but this dating is uncertain and has given rise to some debate among scholars in recent years. 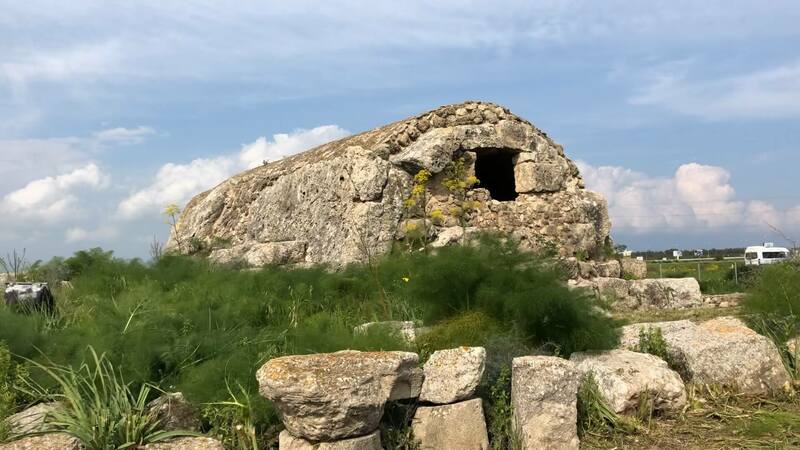 The most interesting of these megalithic tombs is called “St. 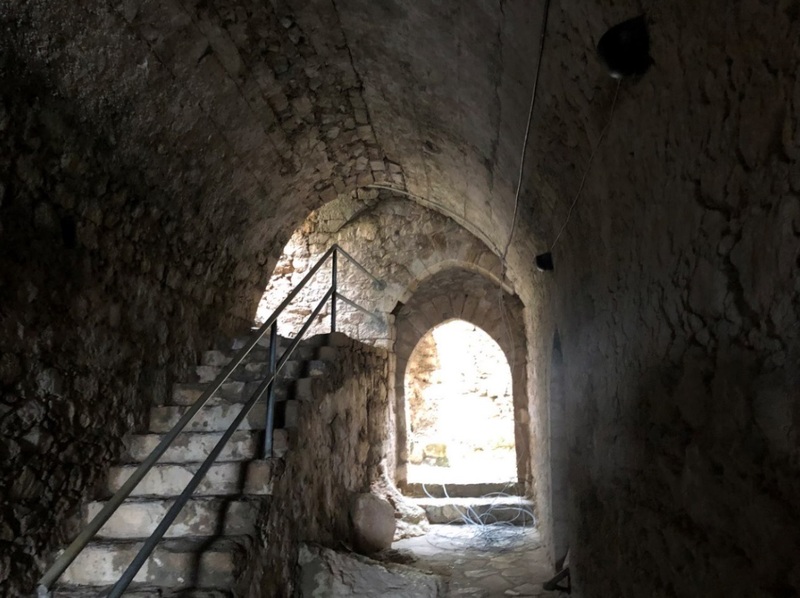 Catherine´s Prison” (also known as Tomb 50), dedicated to St. Catherine of Alexandria who, legend says, was imprisoned here. 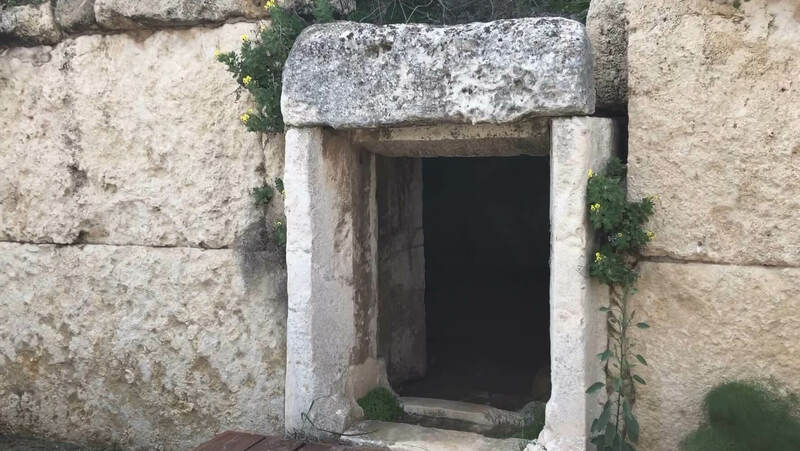 This tomb was built with massive stones cut to perfection, with very little space between the joints. 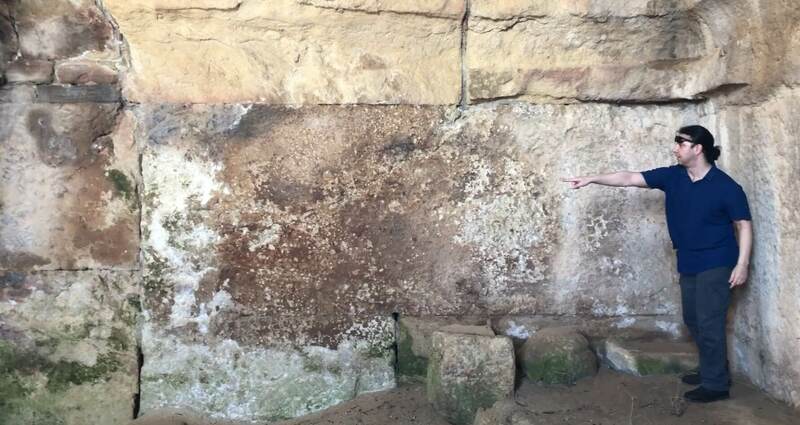 The skeletal remains of two sacrificed horses that were found here during the excavations are exhibited on site. 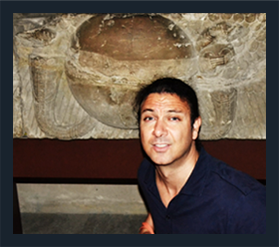 The horses were believed to have pulled a chariot, containing the body of the king for whom the tomb was built. 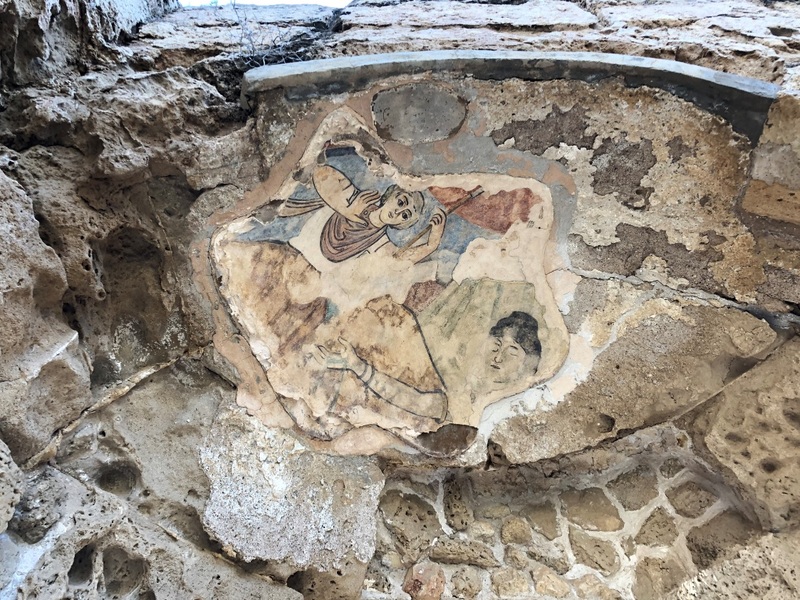 It has been pointed out that this burial custom (of horse-drawn chariots pulling the body of the king to the tomb) was described by Homer in The Iliad. 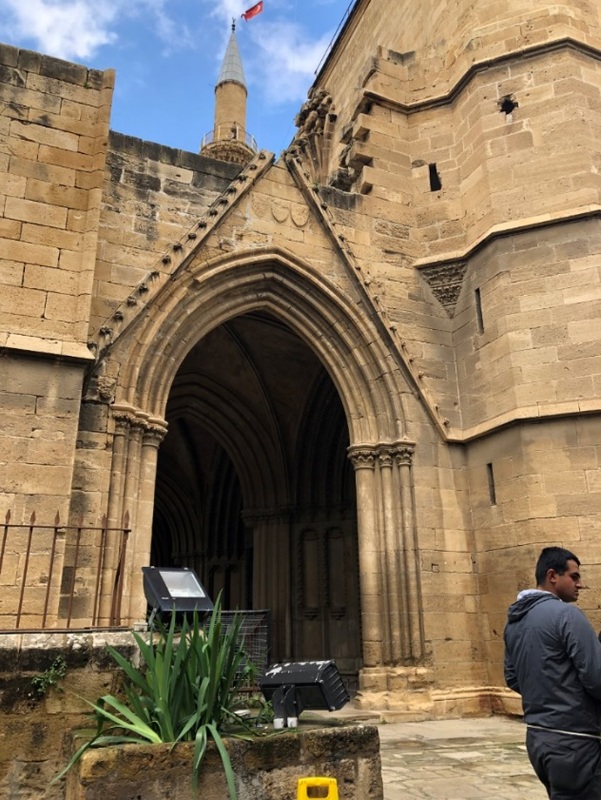 We traveled to the ancient city of Famagusta on the east coast of Cyprus. 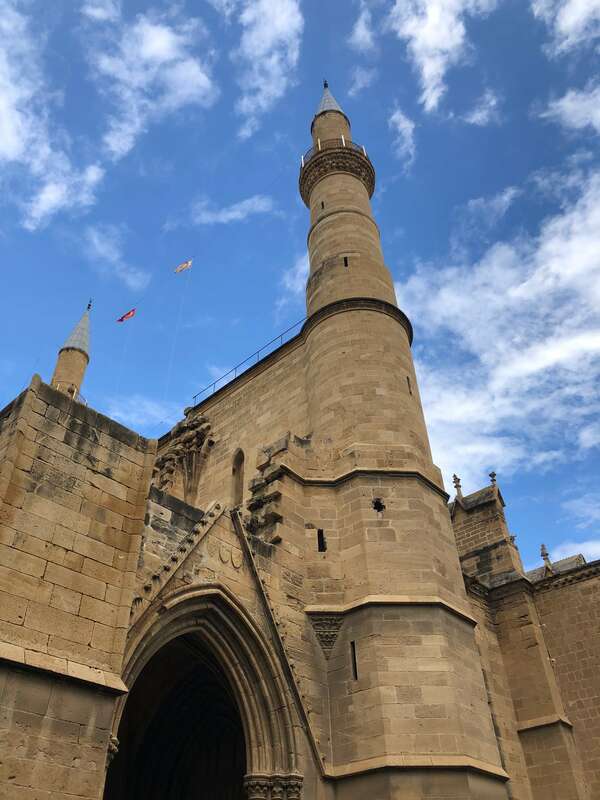 Famagusta was once the island’s most important port city with links to trading ports throughout the Levant, connecting Cyprus to the famous Silk Road. 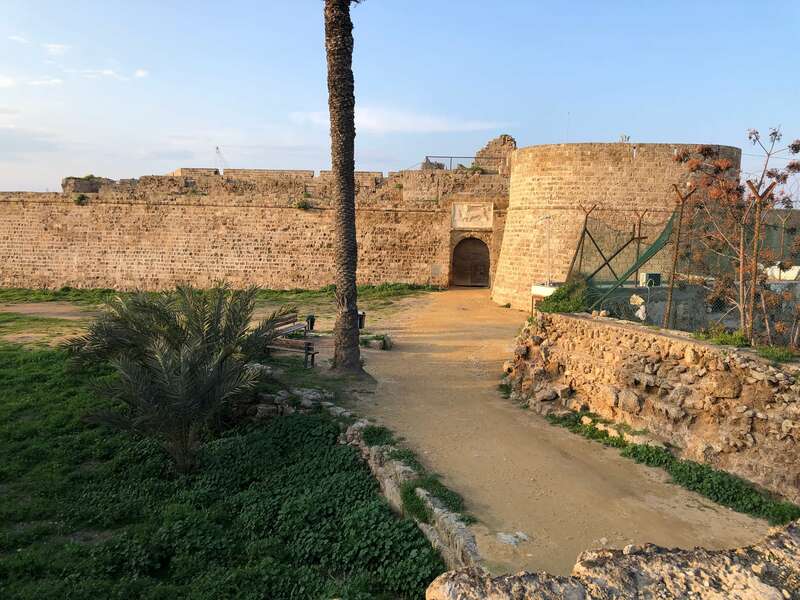 Famagusta is a walled city, and many of the medieval and ancient walls are still visible, attracting tourists. 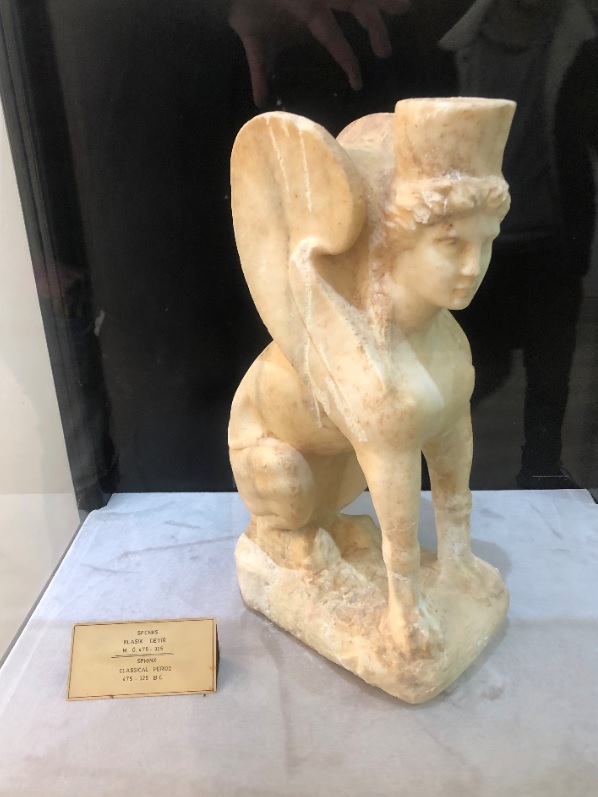 In antiquity, the town was known as Arsinoe, named after Arsinoe II (c. 316 BC – 260 BC) of Egypt, a Ptolemaic queen and co-regent of the Ptolemaic Kingdom. 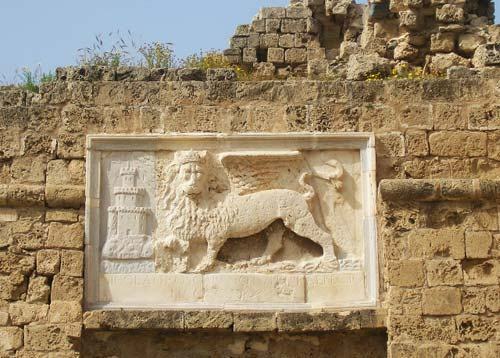 Strabo describes the city by this name. 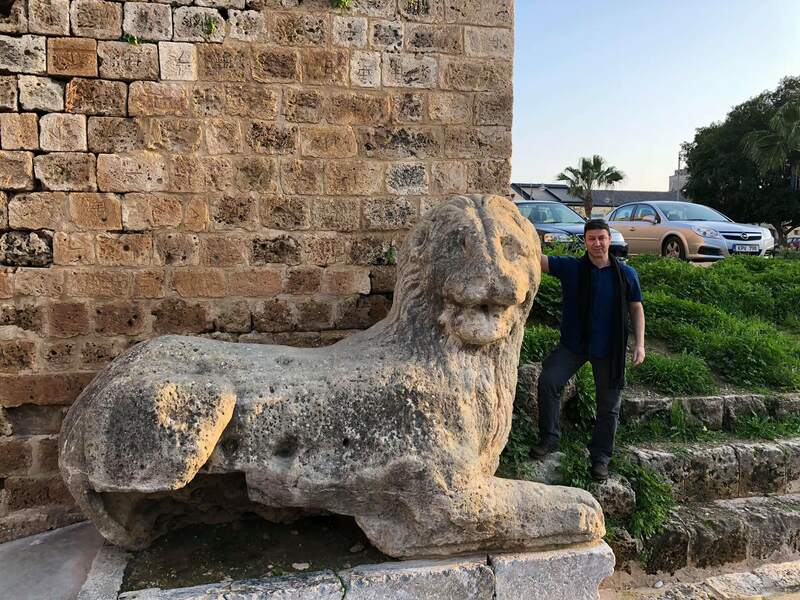 There are many majestic and striking monuments here, but most interesting to me was a series of megalithic stone lions. 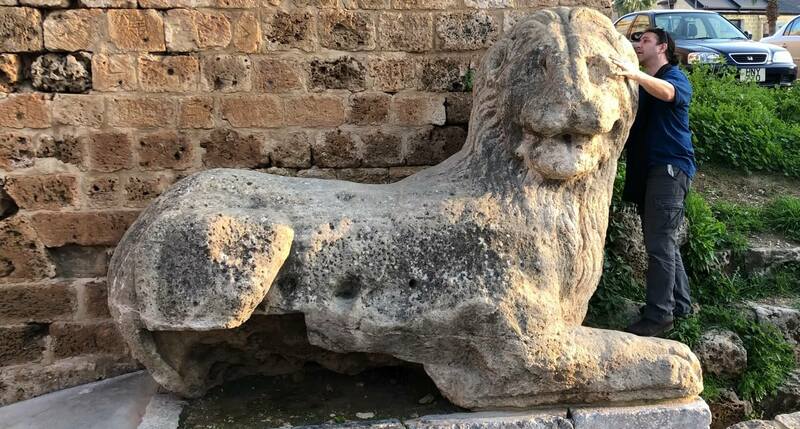 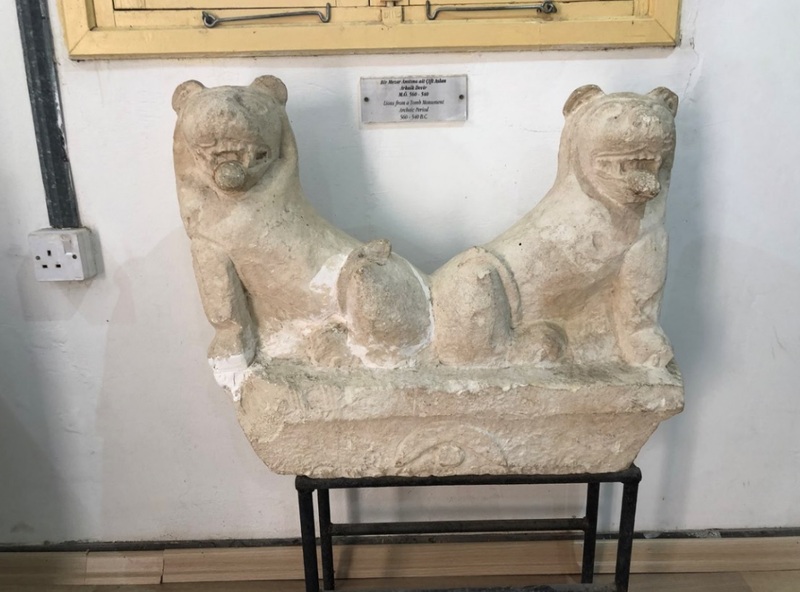 Their dating and origins are unknown, but judging by the number of lions visible throughout the city (including lion reliefs on the city´s protective walls) as well as the reverence attributed to the lion throughout Cyprus, it seems clear that a “lion cult” of some kind developed during a very early phase of the city and even the country´s history.The city of Famagusta in Greek was called Ammochostos, which means “hidden in the sand”. 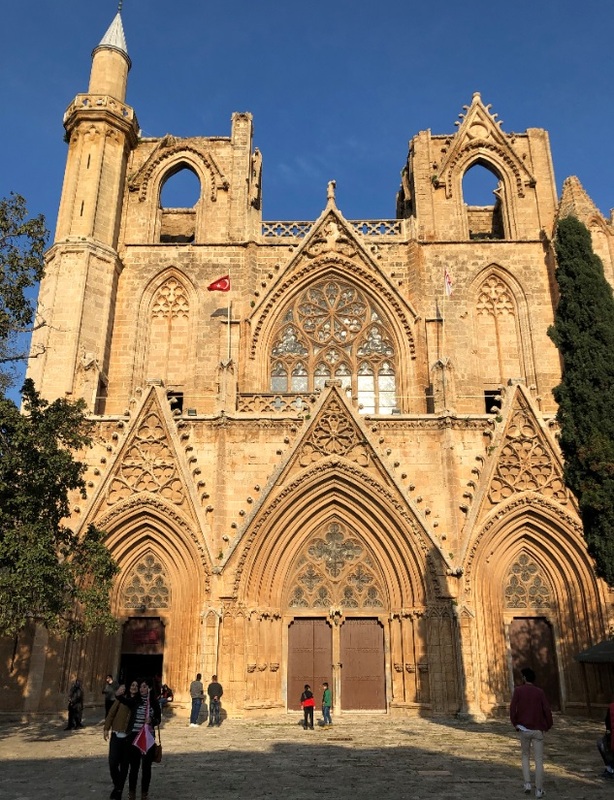 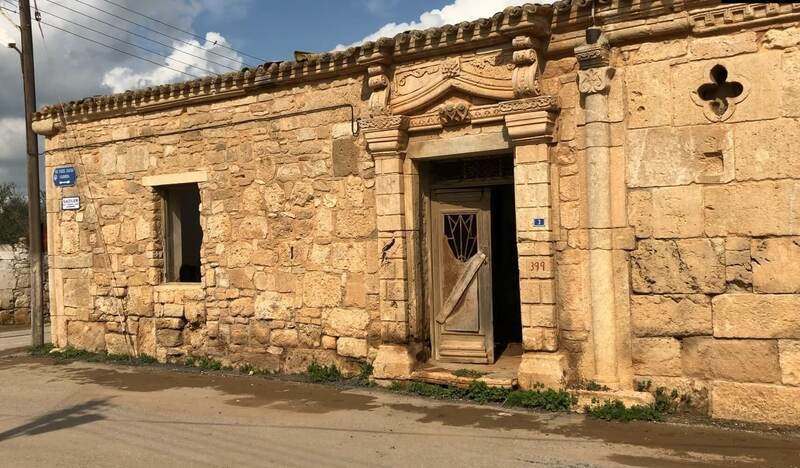 The city is often described as “the city of 365 churches,” because legend has it that, in its heyday, Famagusta had one church for each day of the year. 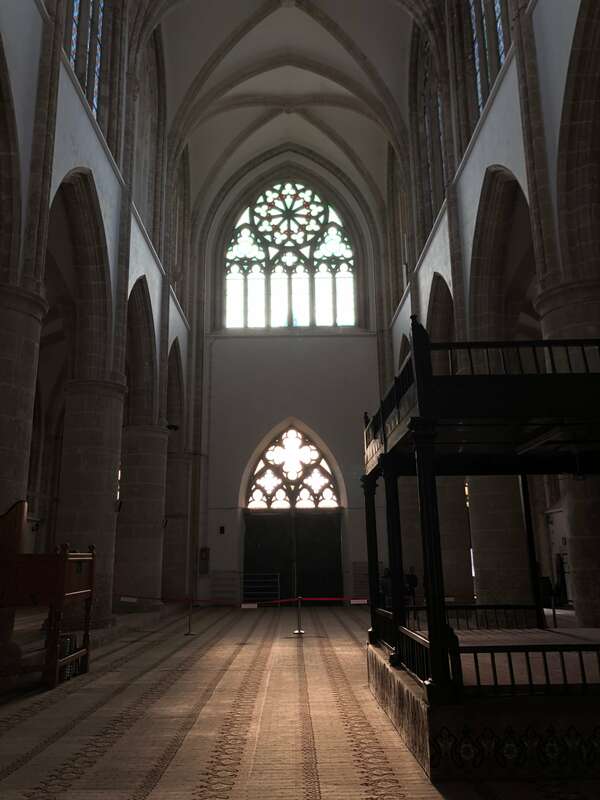 Many of these churches were converted into mosques by the Muslim inhabitants. 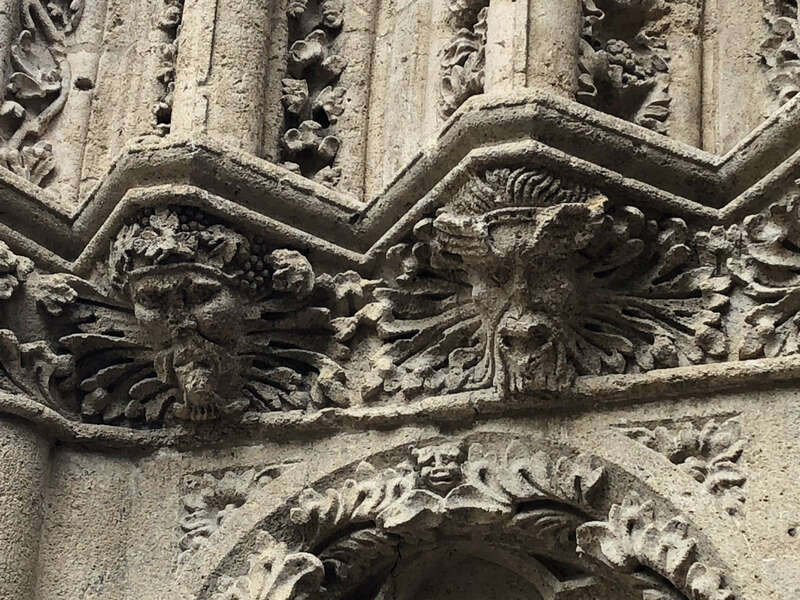 The stonemasons who built Europe´s churches, castles, and cathedrals encoded images of the so-called “Green Man” into their constructions. 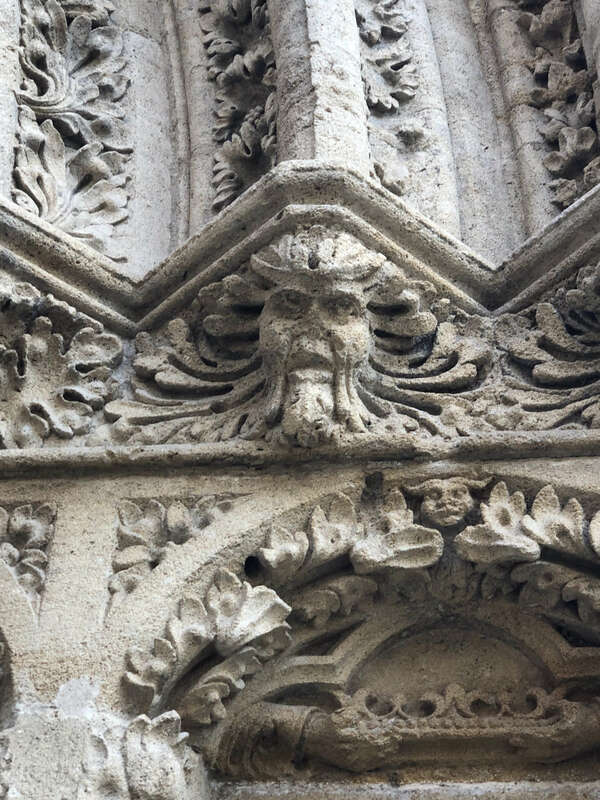 This mysterious Green Man tradition—which has not yet been sufficiently explained by scholars—once existed across Europe. 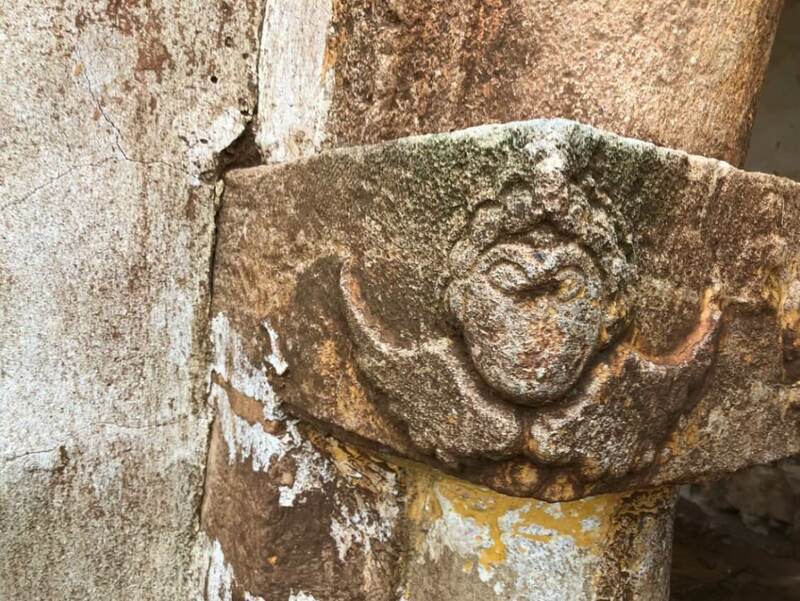 Church authorities allowed this pagan imagery apparently because they did not consider these “Green Men” as pagan motifs, but merely as ornaments. 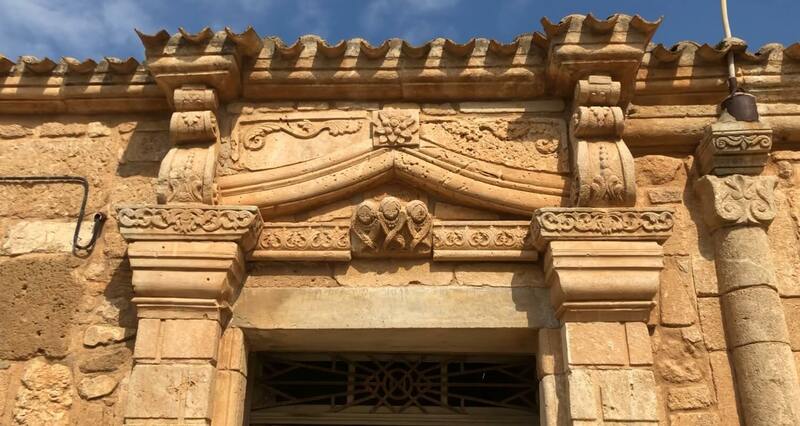 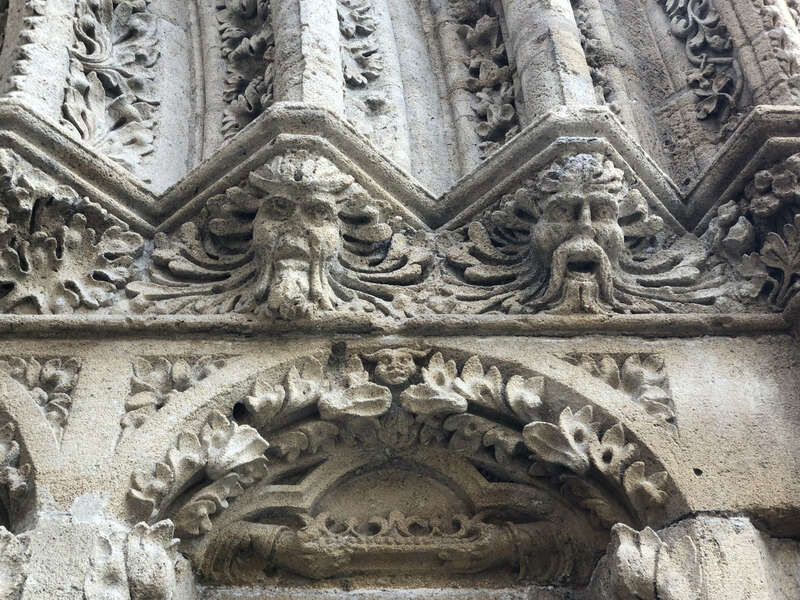 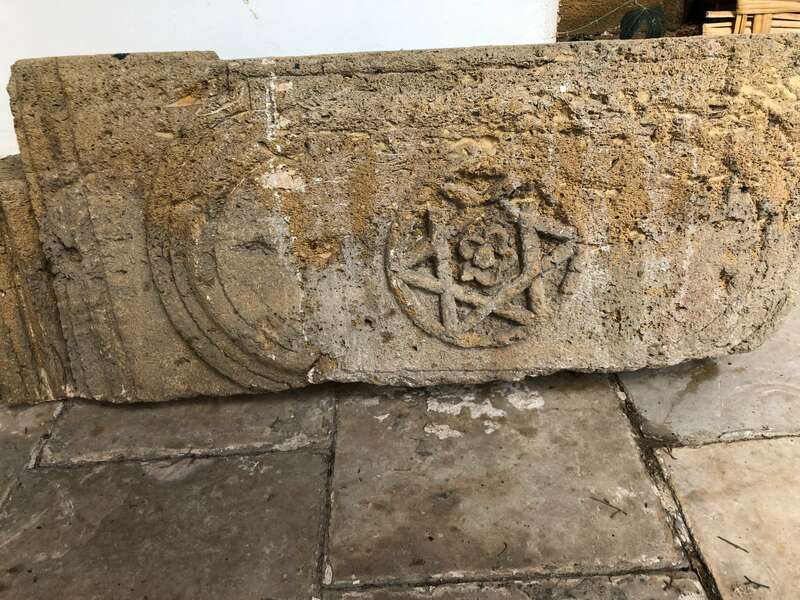 In Cyprus, we see examples of this in the so-called “Seven Green Men of Nicosia.” These are a series of seven mysterious Green Man images carved into the entrance of the 13th century facade of St. Nicholas Church in Nicosia. 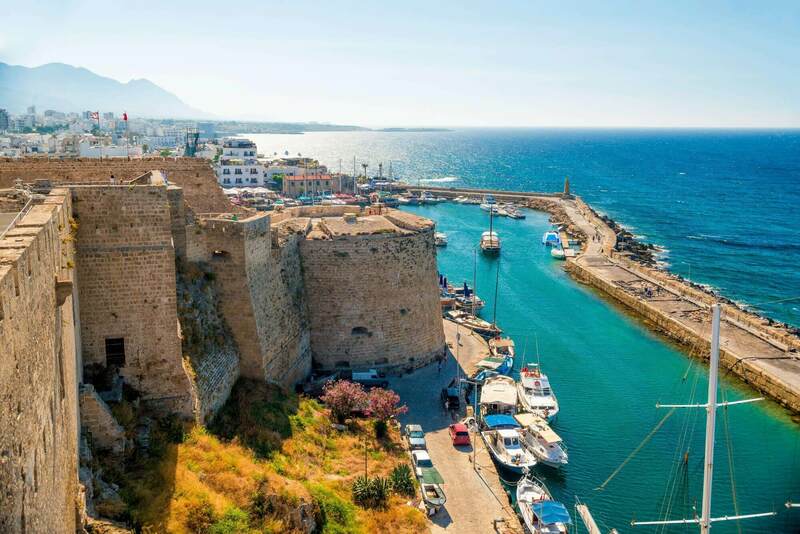 Scholars believe Kyrenia Harbor, built with square ashlar megalithic stones, was originally constructed by the Romans. 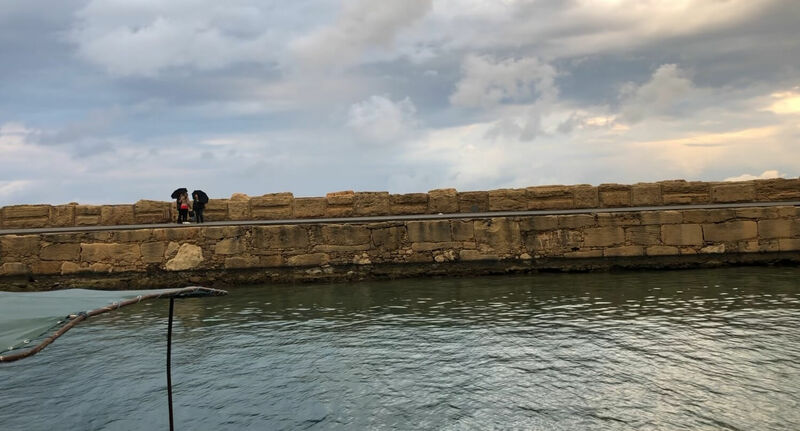 The original Roman port was situated parallel to the current one, but very little now remains except for a massive breakwater built with megalithic stones which today forms part of the modern pier. 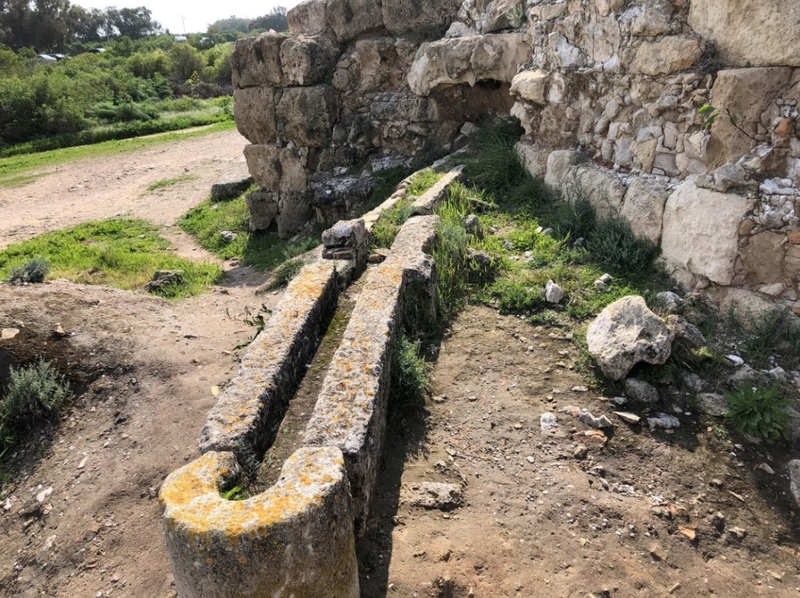 Like many other megalithic constructions in the ancient world, this port is attributed to the Romans; yet one could argue (based on the island´s previous Mycenean, Minoan, Hittite, Phoenician, and Egyptian inhabitants) that this breakwater was not originally built by the Romans, but preceded the Romans by centuries if not millennia. 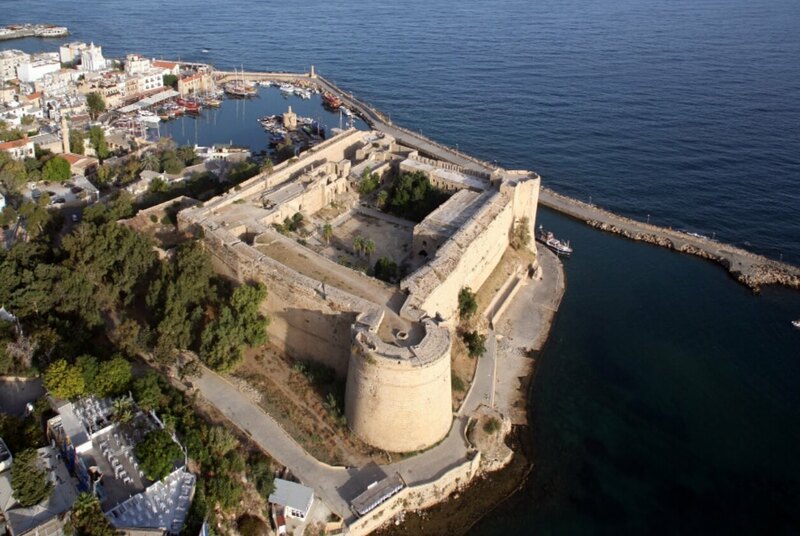 During the Middle Ages, the Venetian city state and its merchants refurbished Kyrenia Harbor as well as the great castle of Kyrenia, which was strategically located to guard their trade. 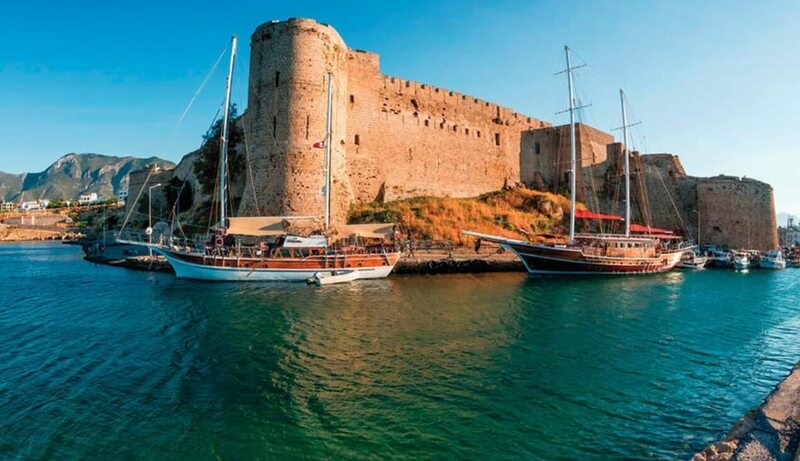 Kyrenia Castle has overlooked and majestically guarded the important and strategic North Cyprus port of Kyrenia since the 1500s. 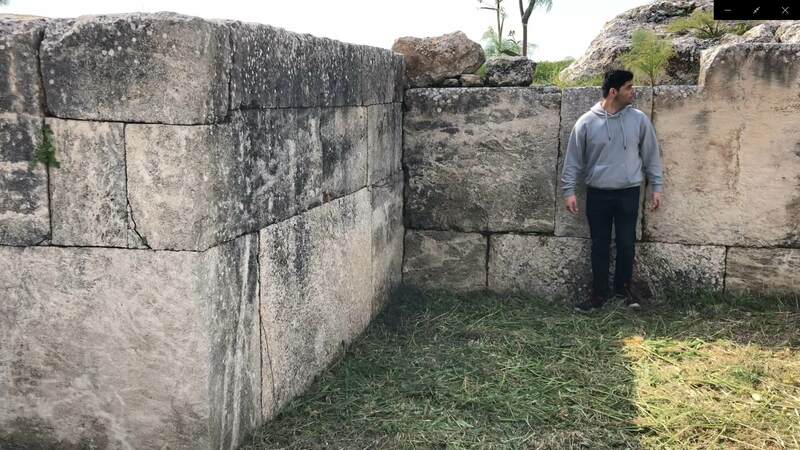 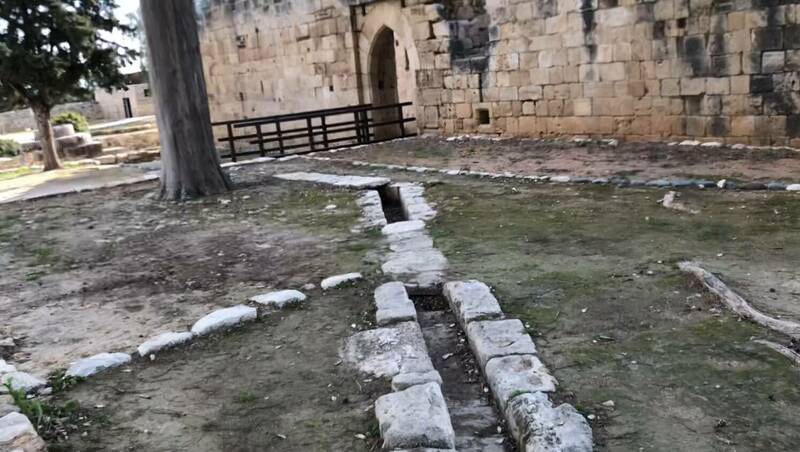 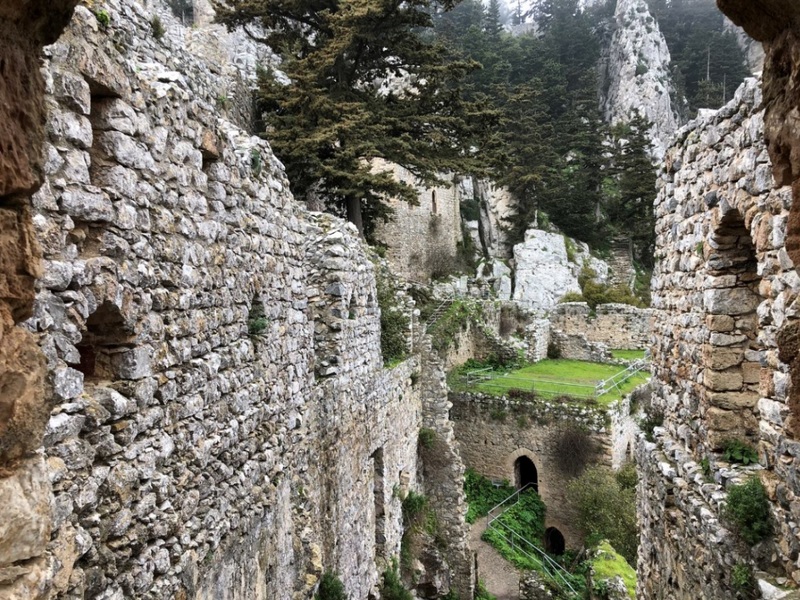 Despite the fact that the town of Kyrenia is believed to have been in existence since the 10th century BC, scholars say the first evidence of the castle is from Roman times. 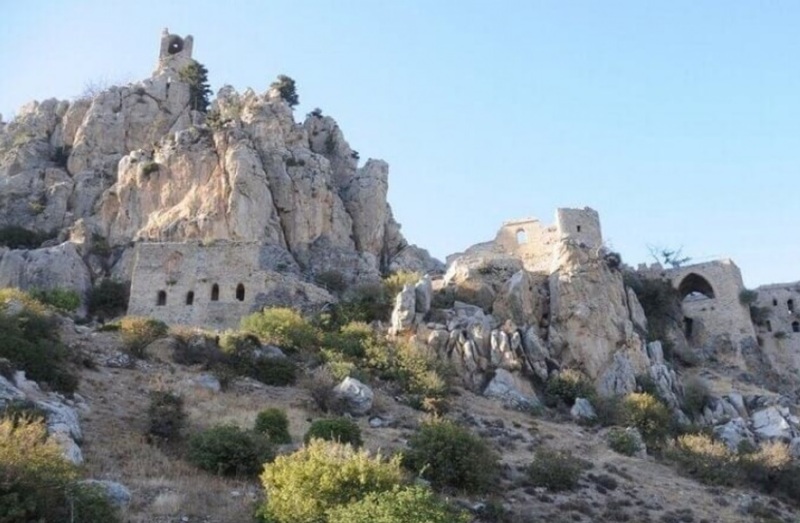 It was subsequently fortified by the Byzantines, then later strengthened again and enlarged by the Lusignans. 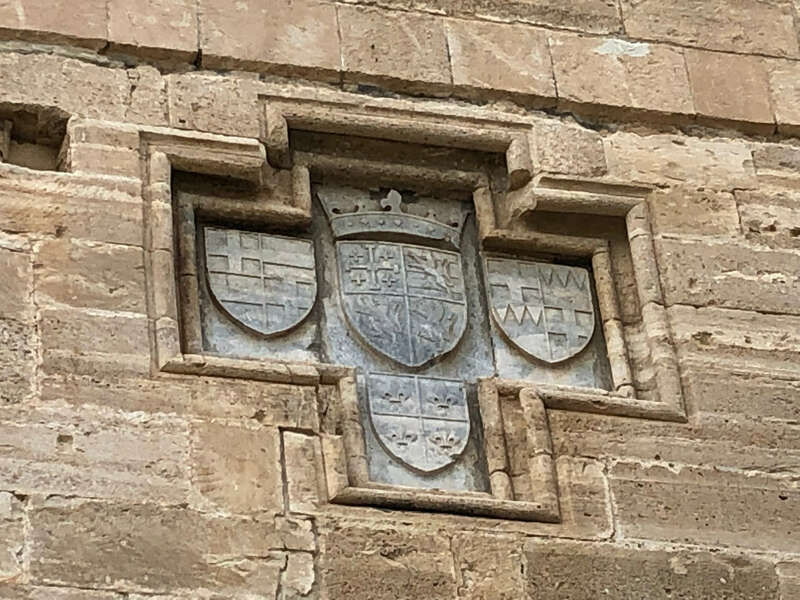 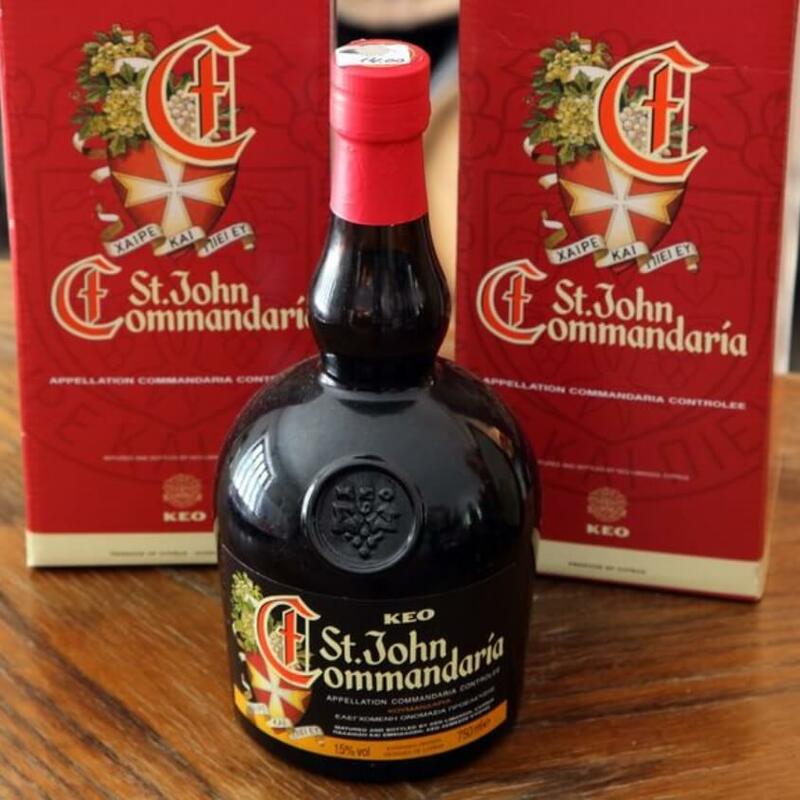 (The House of Lusignan was a royal house of French origin that ruled over the kingdoms of Jerusalem, Cyprus, and Armenia from the 12th – 15th centuries AD.) 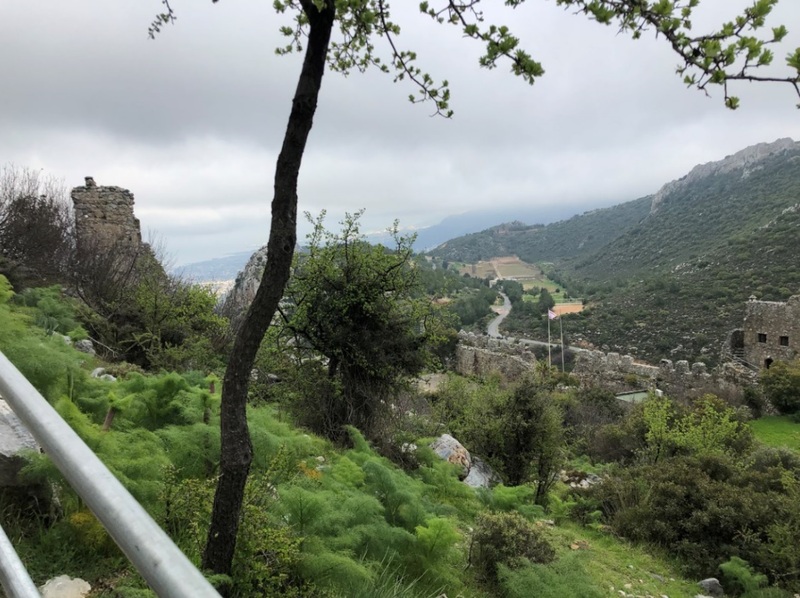 Concerned about a possible Ottoman invasion of Cyprus (with the Ottoman mainland only miles away) the Venetians fortified Cyprus by enlarging and reinforcing the walls of Kyrenia Castle. 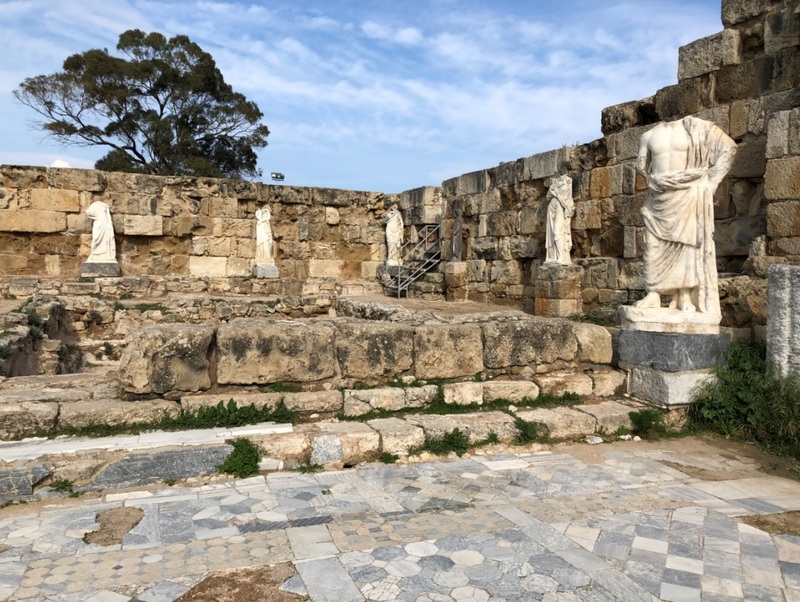 Amathus also plays a part in another Greek myth, the story of Ariadne. 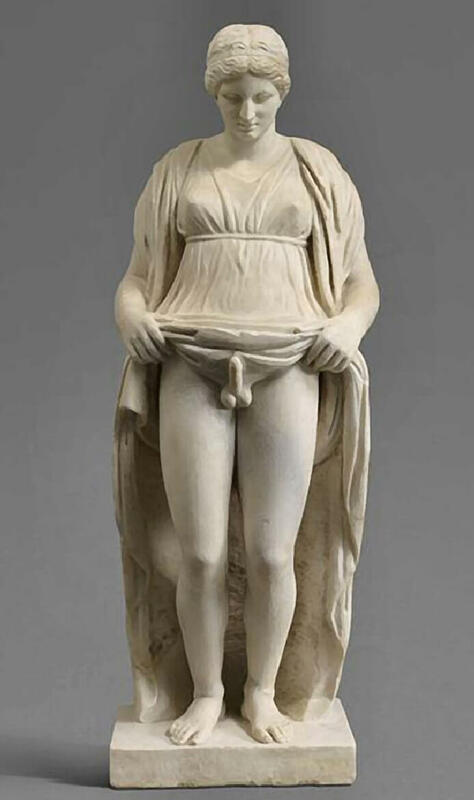 Plutarch tells us that Theseus (of Minotaur fame) abandoned Ariadne (who helped Theseus conquer the Minotaur´s labyrinth by supplying the thread) at Amathus, where she died and was buried. 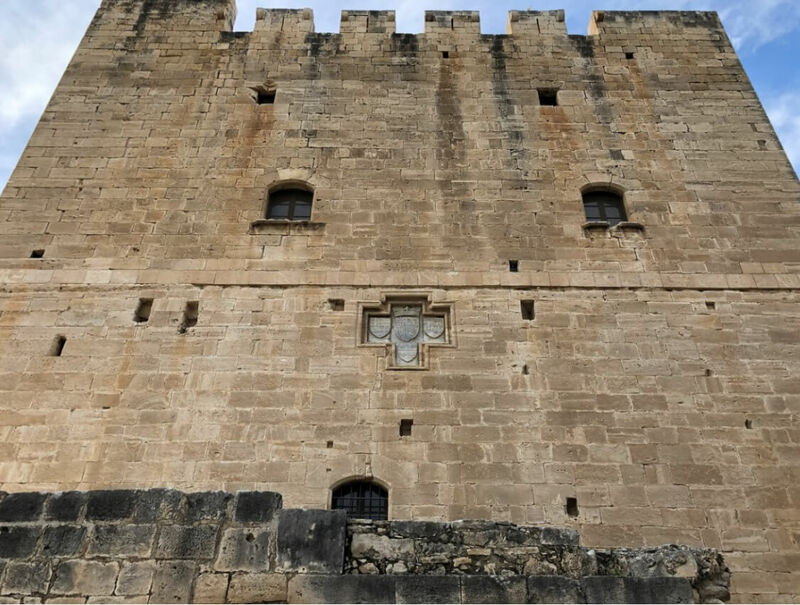 Kolossi Castle was a former Crusader castle which scholars believe was built c. 1210 by the Frankish military, when the land of Kolossi was given to the Order of Knights of the Hospital of Saint John of Jerusalem (also known as the Order of Saint John, Order of Hospitallers, Knights Hospitaller, Knights Hospitalier or Hospitallers). 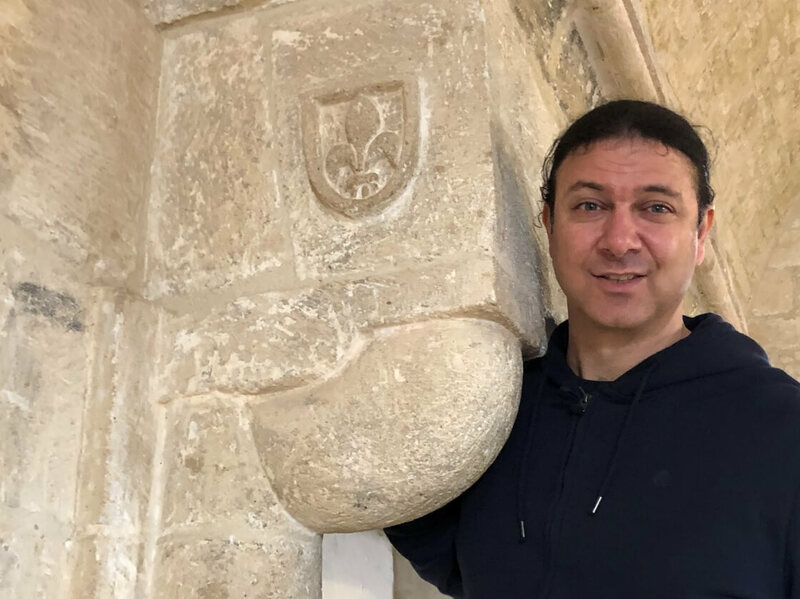 It is said that the castle was taken over by the Knights Templar in 1306, but returned to the Hospitallers in 1313, following the abolition of the Templars. 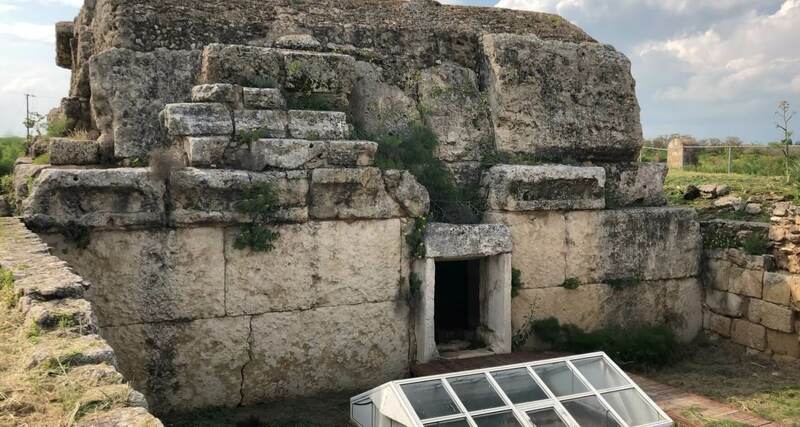 The main structure consists of a single three-story keep, with an attached bailey (rectangular enclosure) measuring 30 by 40 meters. 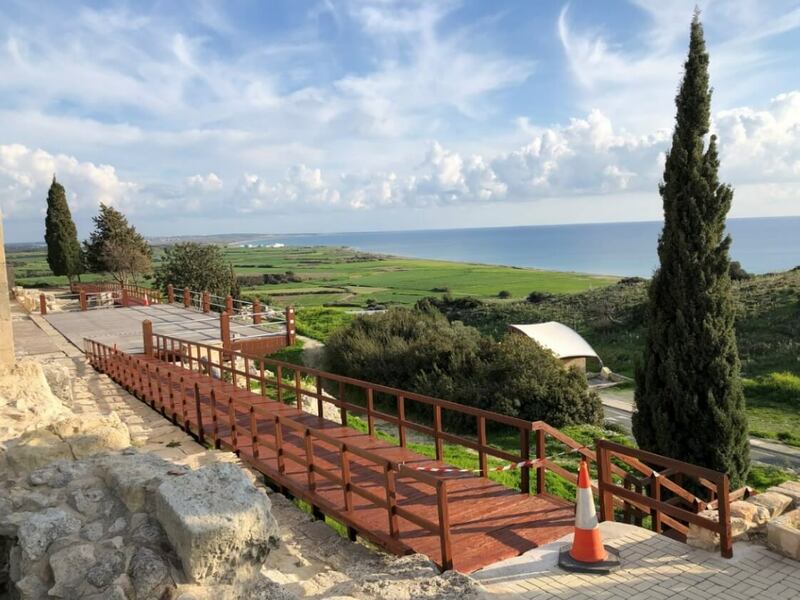 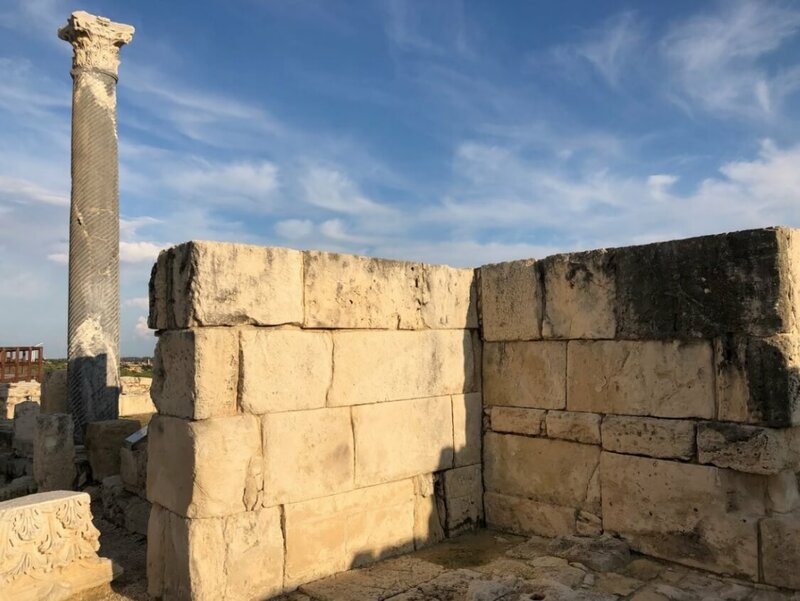 The Mount of Kourion, on which the archaeological ruins of the ancient city of Kourion have been discovered, occupies a dominant position on the southern coast of Cyprus. 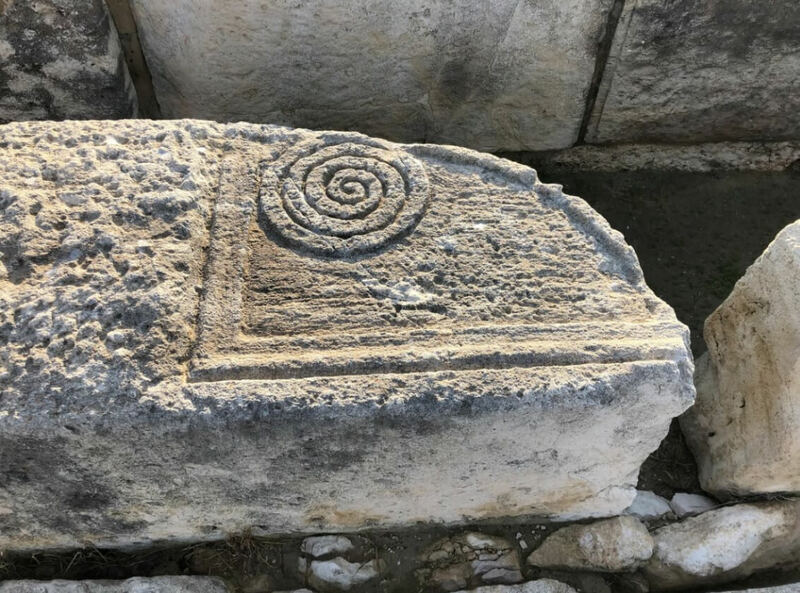 The oldest remains are dated by scholars to the middle and late bronze age. 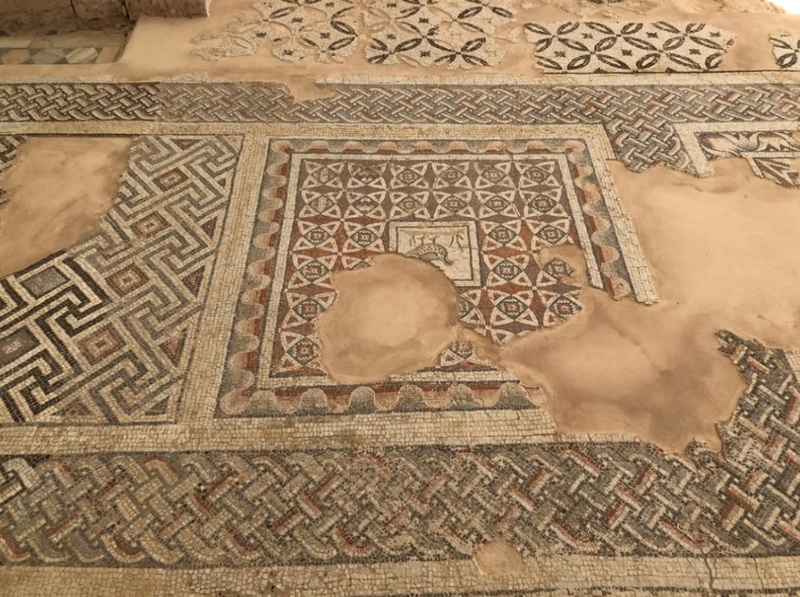 Kourion is traditionally thought to have been founded by Argives (citizens of Argolis in the Peloponnese in Greece) in the 13th century BC, and historians have long believed that its inhabitants were descendants of Aegean immigrants. 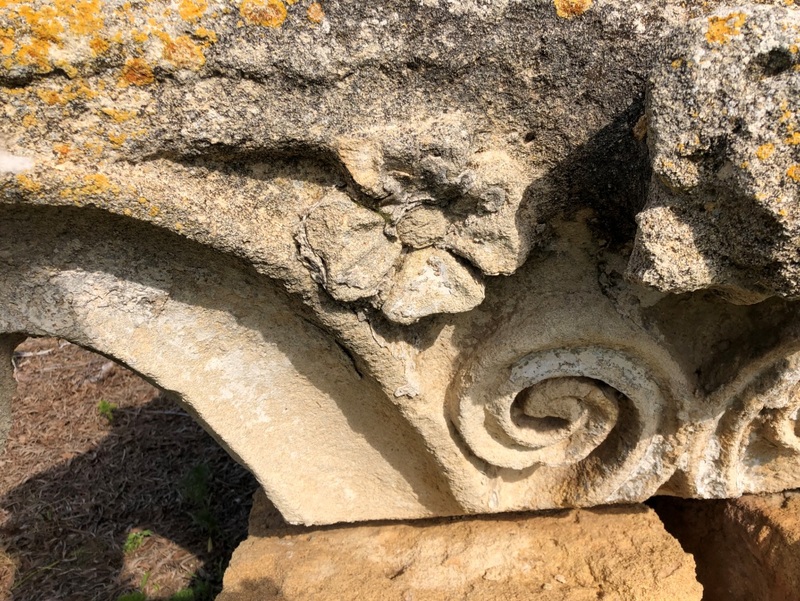 The most important monuments are mainly from the Roman era. 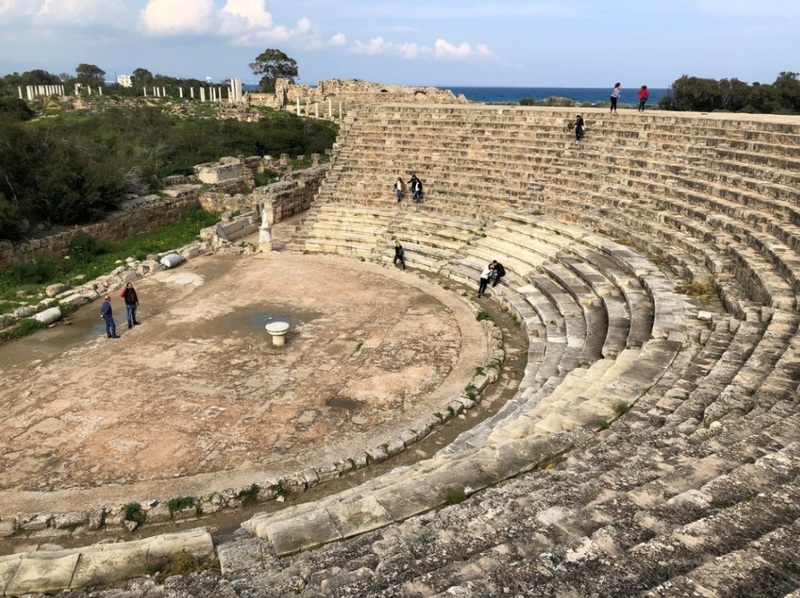 These include a theater (with a magnificent acoustic resonance), the Amathus Gate Cemetery, the Forum, the Nymphaeum, the Forum Baths, the House of the Gladiators, the Baths and House of Eustolios, and the Early Christian Beachfront Basilica. 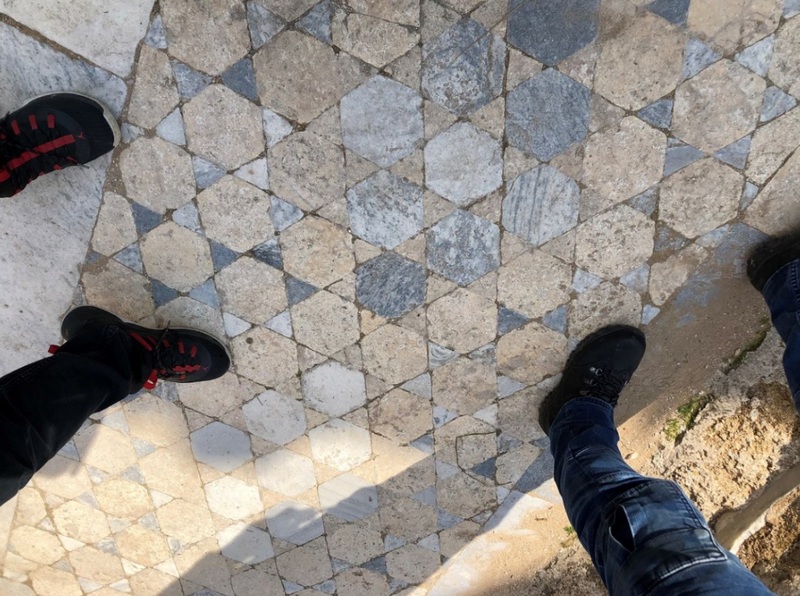 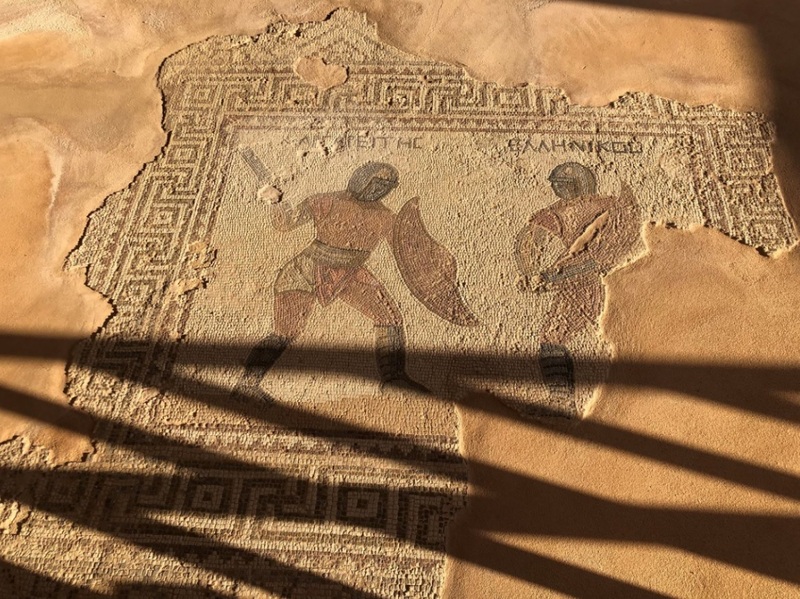 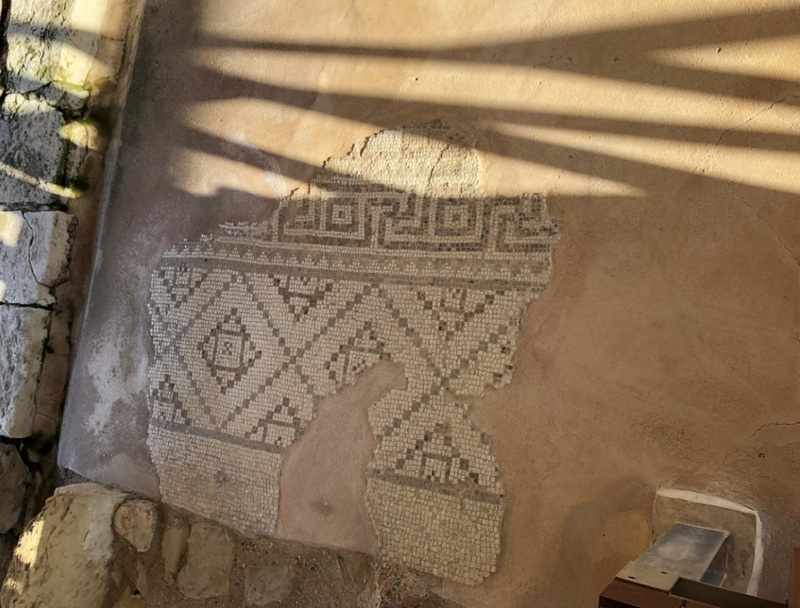 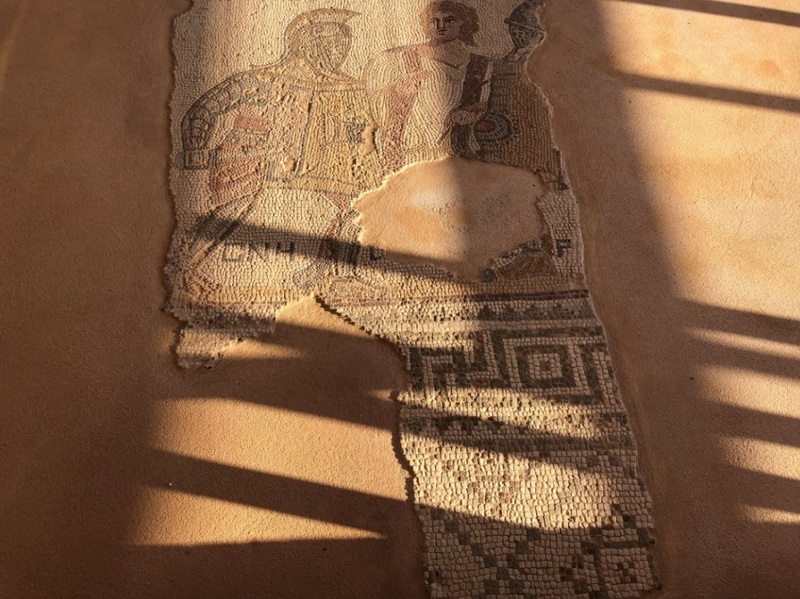 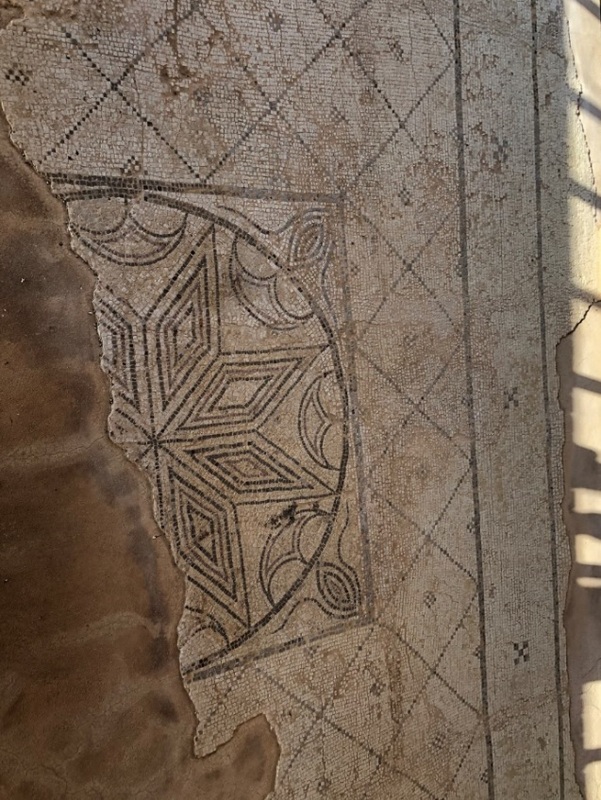 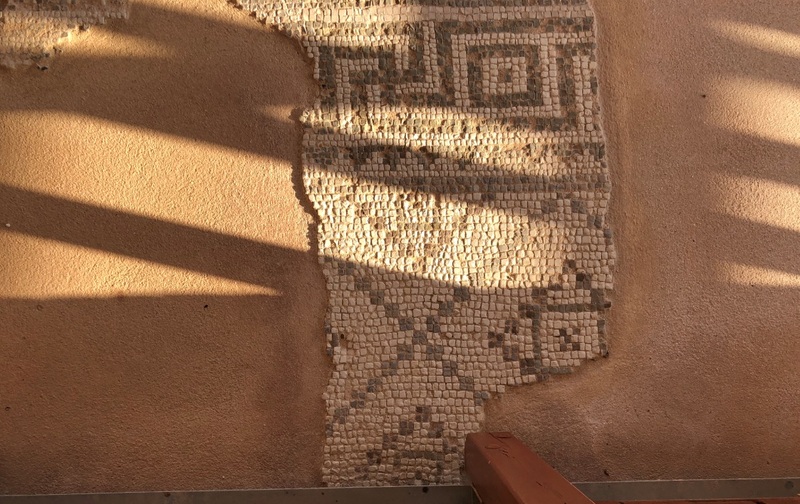 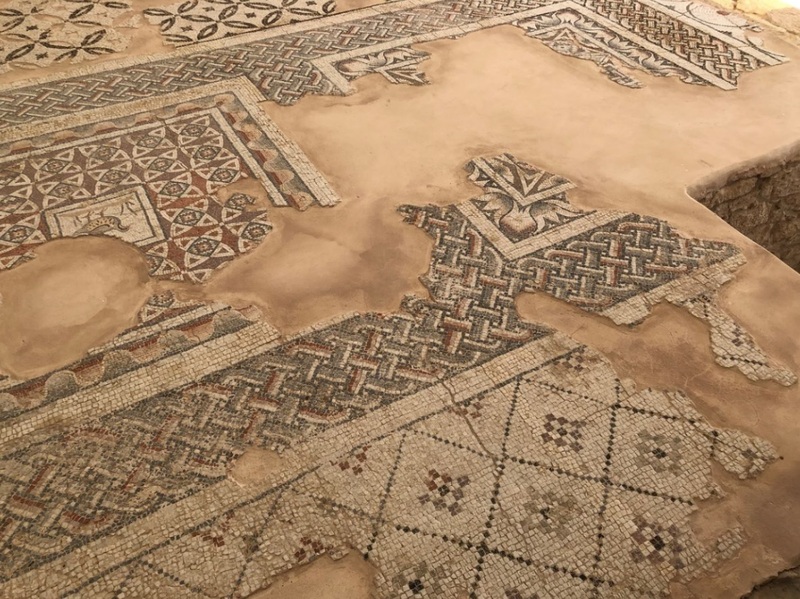 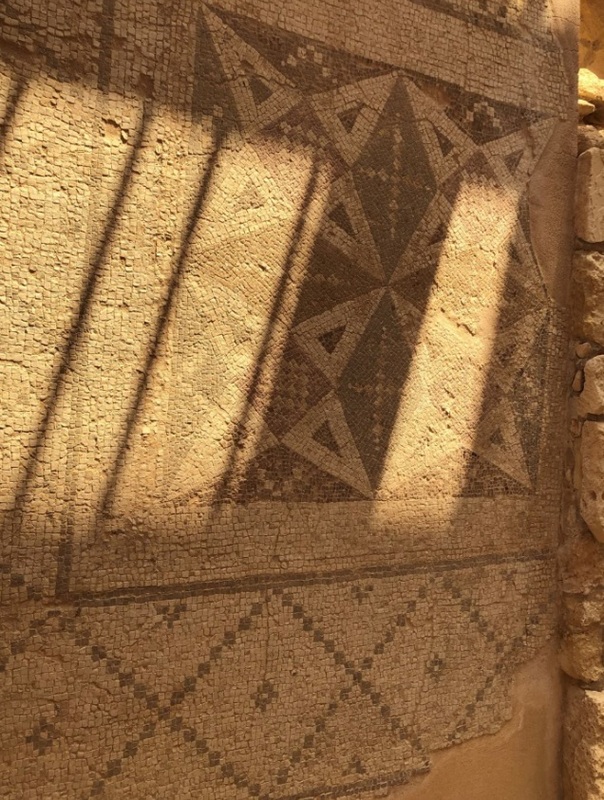 Among the most interesting things I saw here are the Greco-Roman mosaics, which decorate the floors of various ancient temples, homes, tombs, and courtyards. 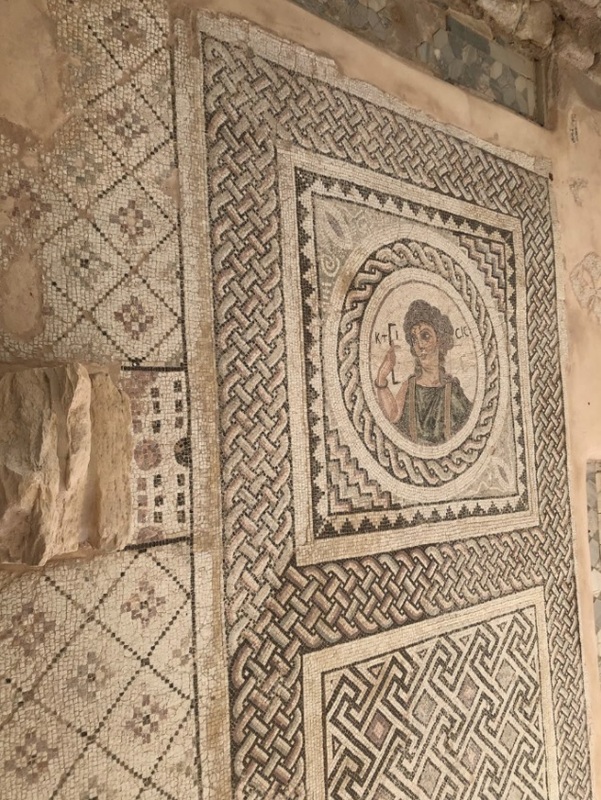 Some of my favorite of these mosaics can be found in the House of Achilles, named after the Greek mythological hero. 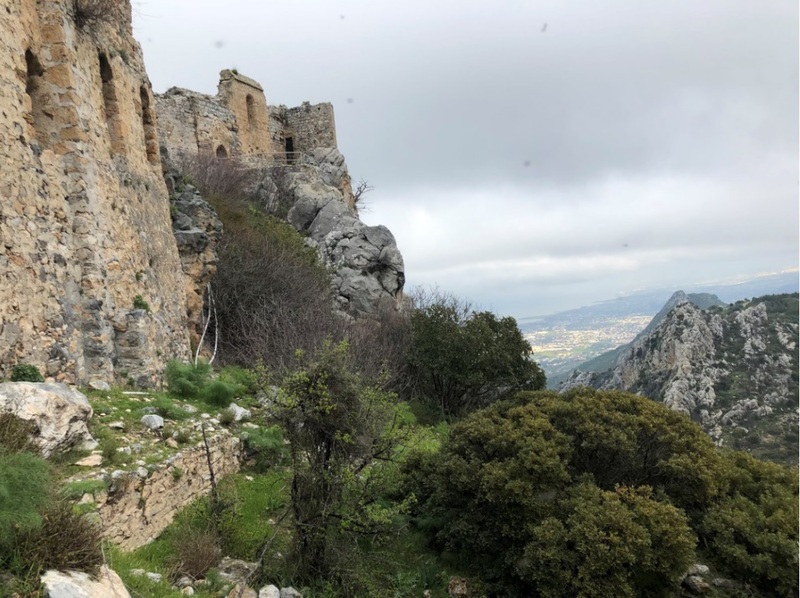 My hosts, the Brotherhood of Saint Hilarion, were eager to show me the castle from which their Order took its name. 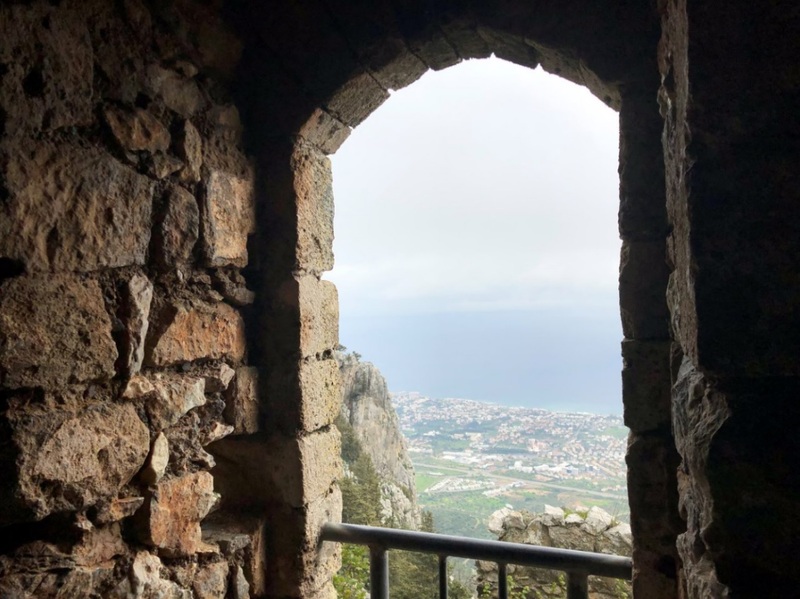 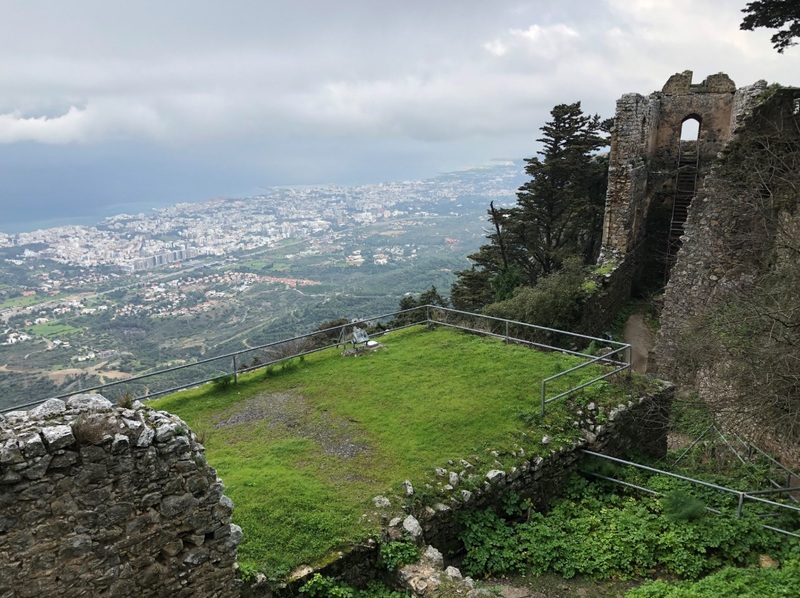 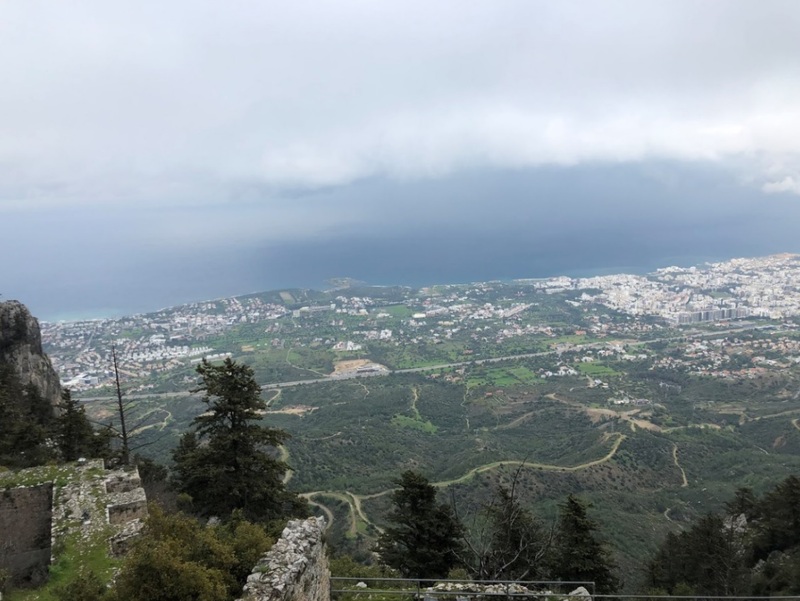 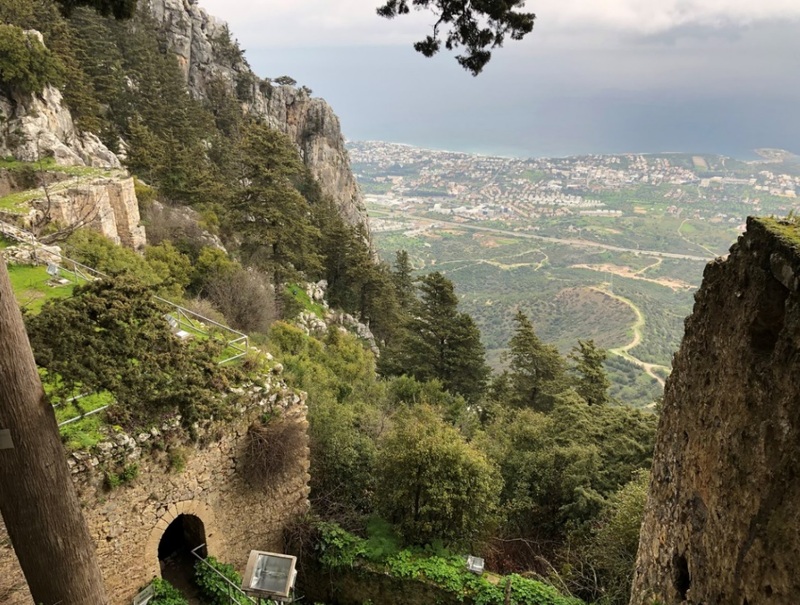 Saint Hilarion Castle, perched upon a steep hilltop on the Kyrenia Mountain Range with commanding views over Kyrenia and the coast, is probably the best preserved of North Cyprus’s three castles. 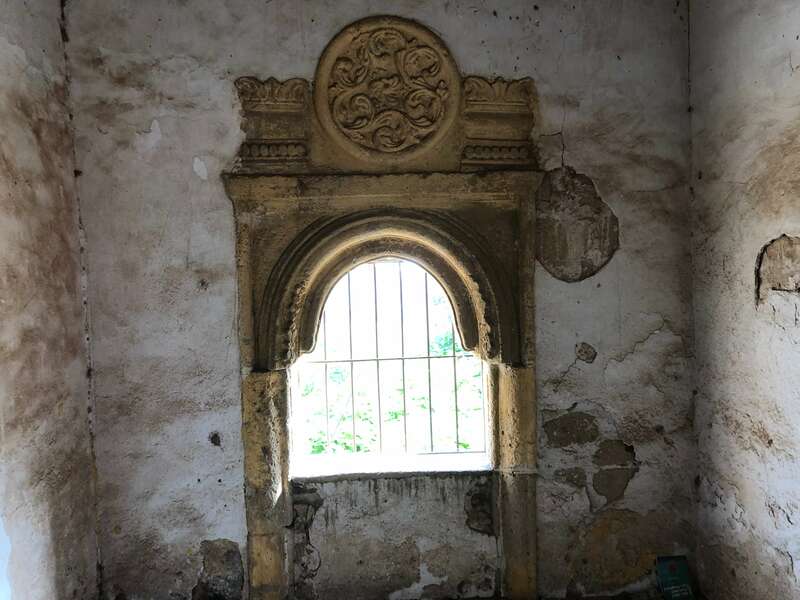 Many people believe it inspired the castle in Disneyland. 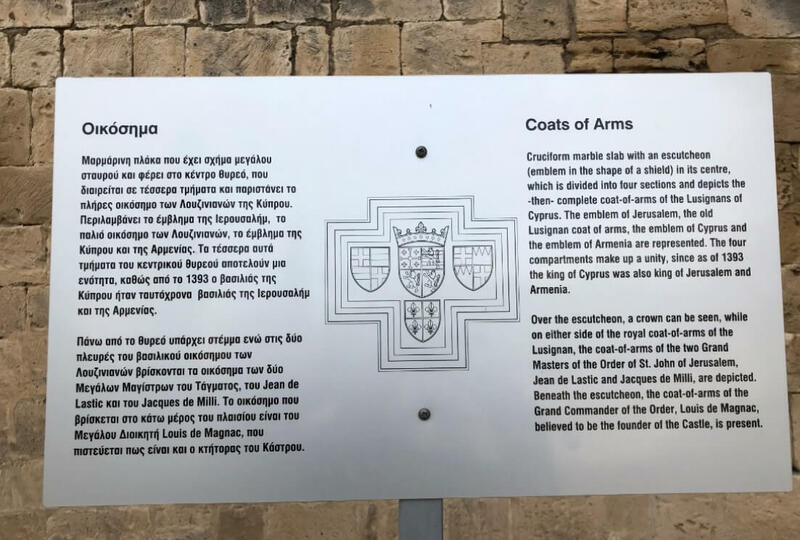 The earliest references to the castle are said to derive from Richard Lionheart’s 1191 campaign on Cyprus. 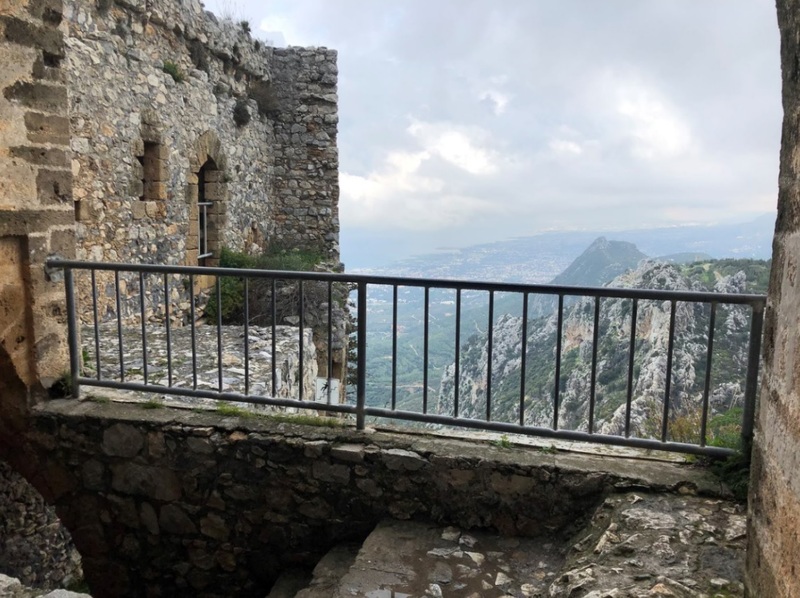 The castle is believed to have been named after a 10th century monk who chose the site for his hermitage, and whose relics can still be seen there. 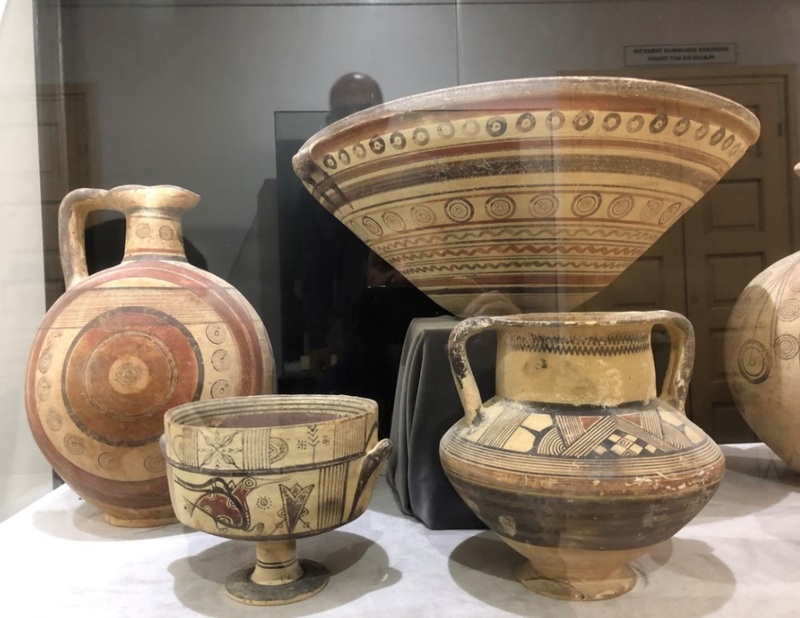 The museums of Cyprus are priceless. 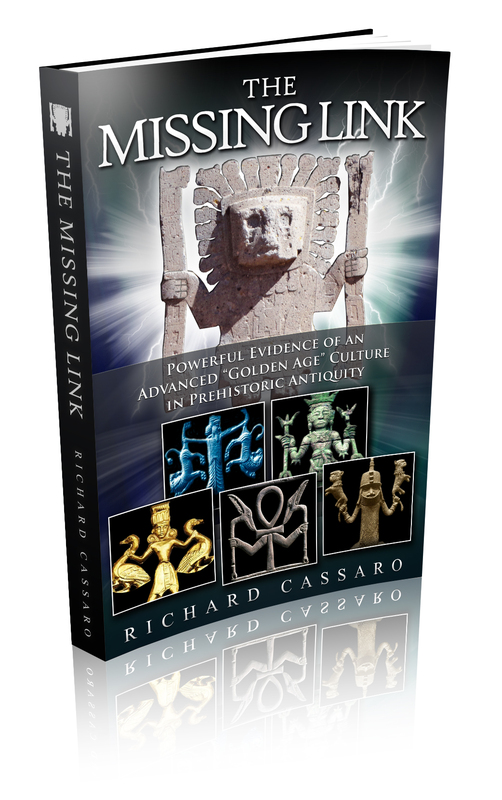 During the past several thousand years, the island was colonized by several major powers starting in the 2nd or perhaps 3rd millennium BC. 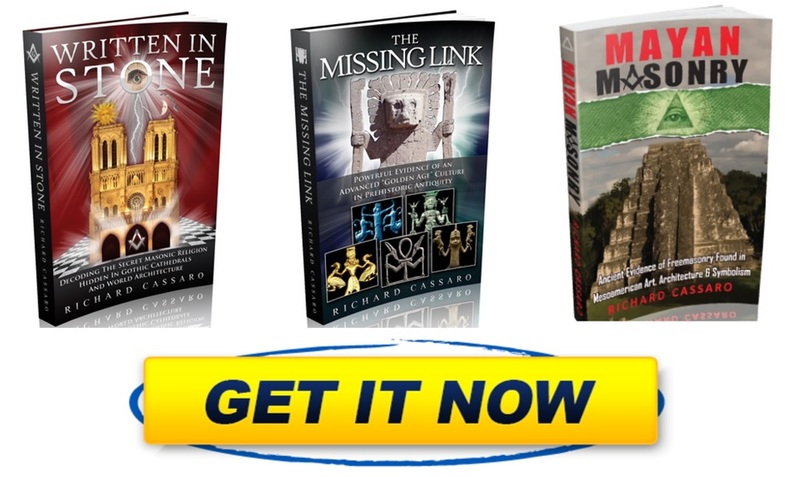 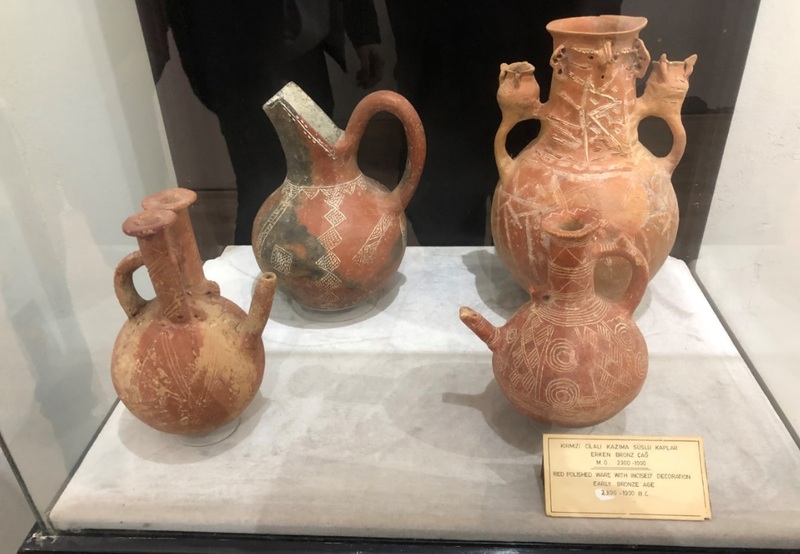 Cultures including the Mycenean Greeks, Assyrians, Egyptians, Phoenicians, Persians, and Romans all left their mark. 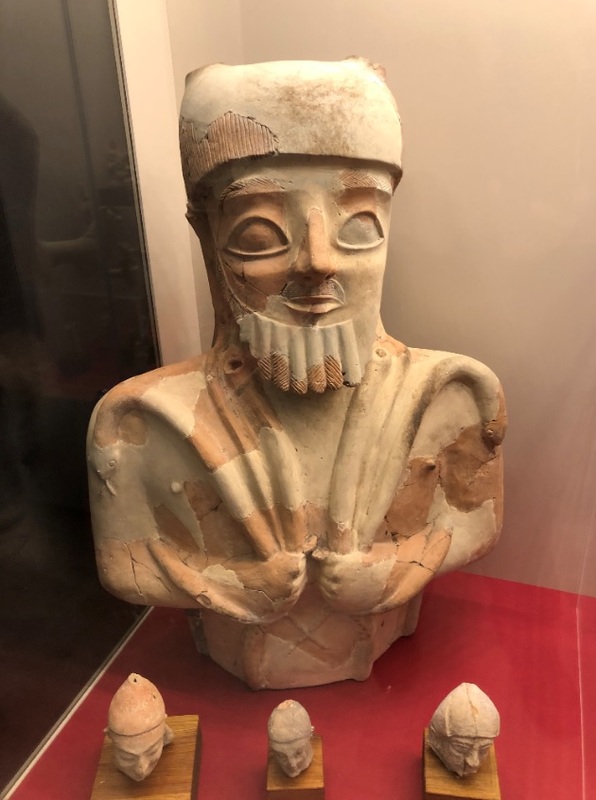 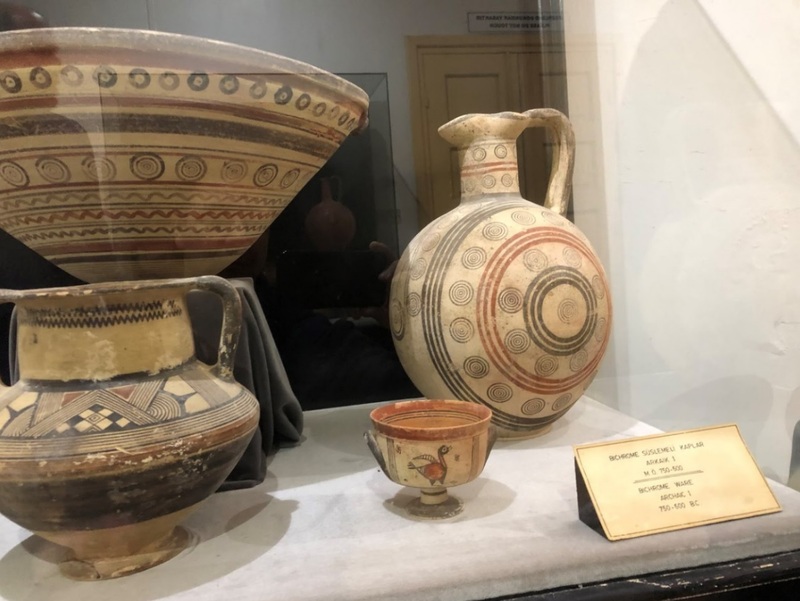 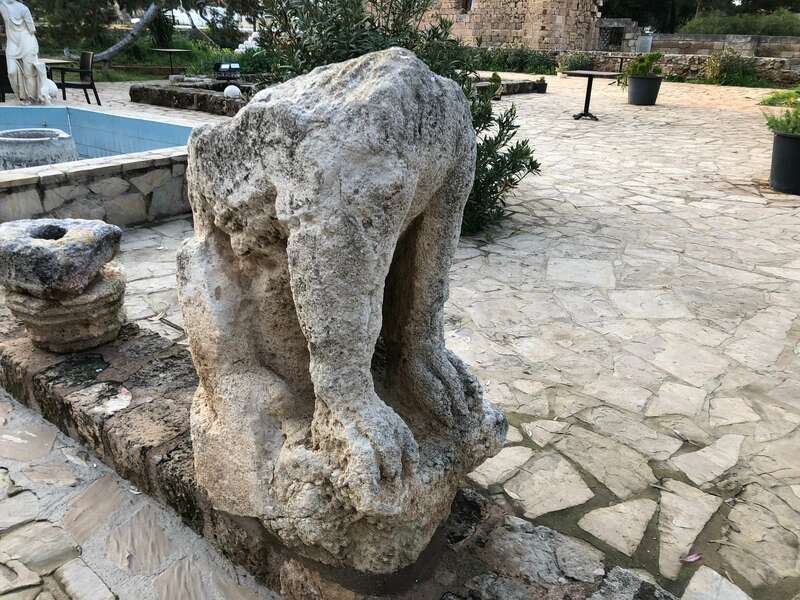 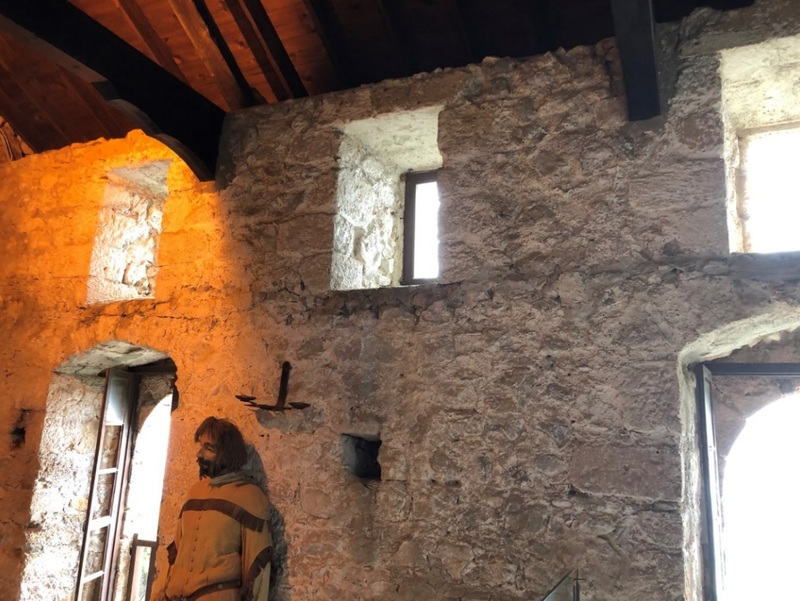 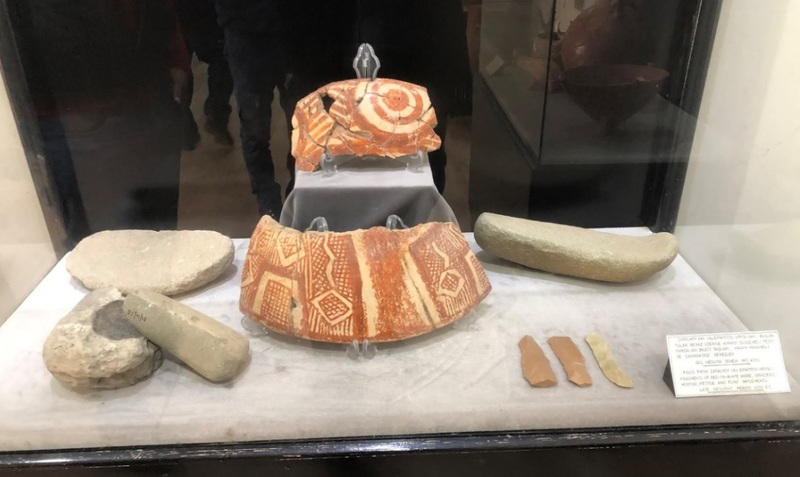 During my stay, my hosts took me to a number of museums in Cyprus, including the museum located across the courtyard from the St. Barnabas Monastery, which houses a number of incredibly sophisticated pottery pieces, stone artifacts, and sculptures. 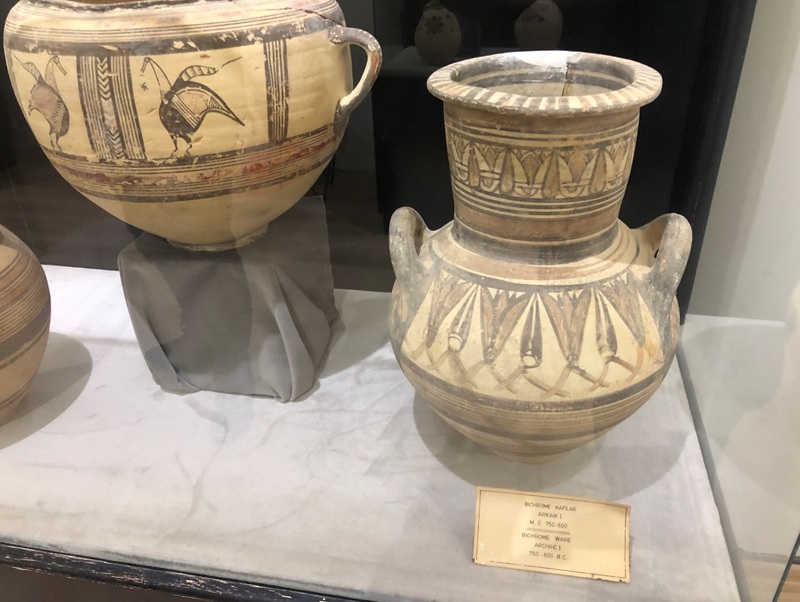 The rich symbolism and iconography encoded onto this pottery provides us with a wealth of information concerning the religious, spiritual, and philosophical beliefs of its creators. 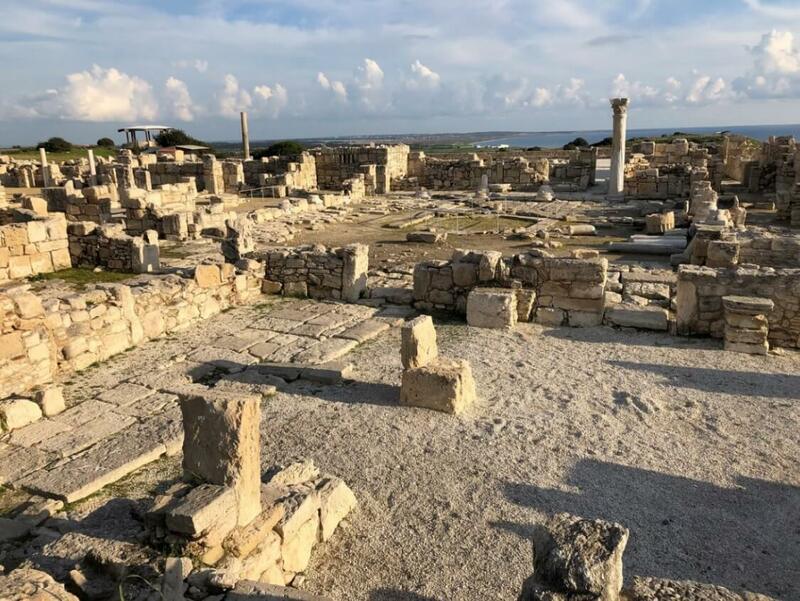 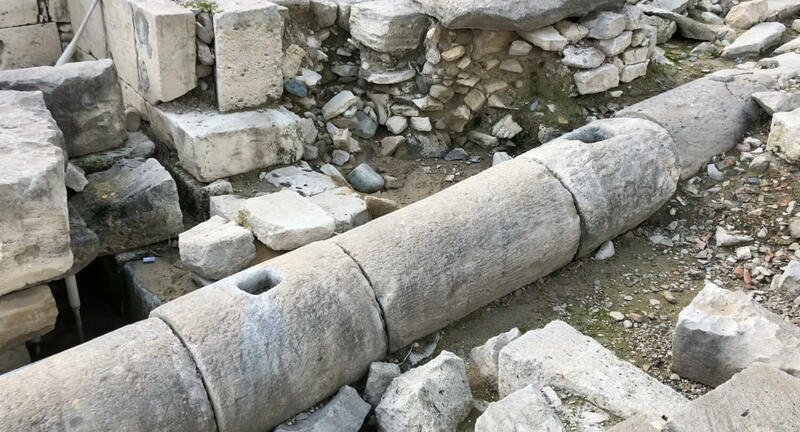 Salamis, located on the east coast of the island, was one of the most important cities of ancient Cyprus. 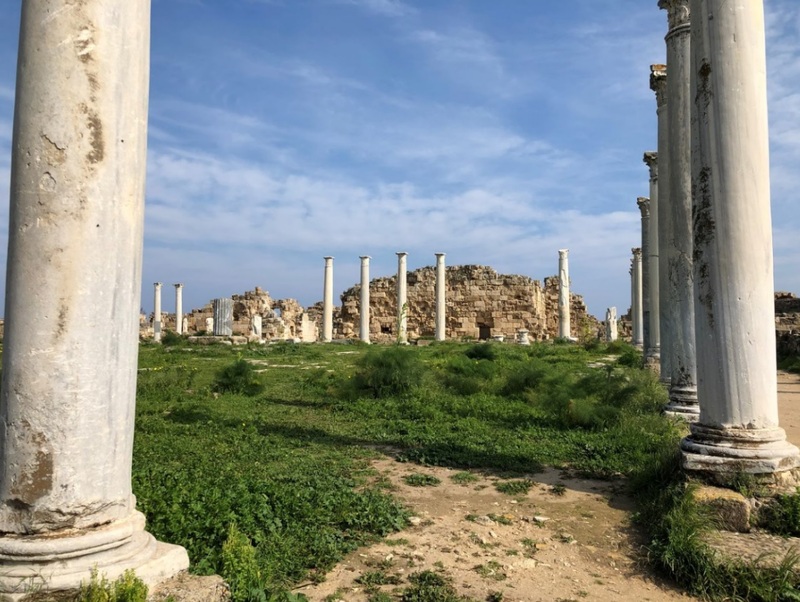 According to Homer, Salamis was founded after the Trojan War by an archer named Teucer, who came from the island of Salamis, near Attica. 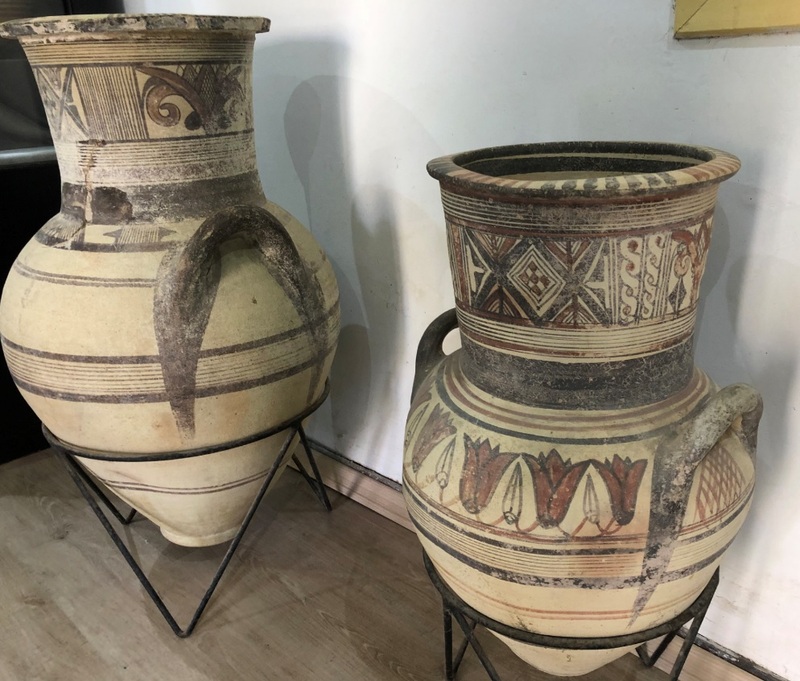 The city grew in size, in part because of its excellent harbor, and it eventually became a key Cypriot center for trade, exchanging goods with Phoenician, Persian and Egyptian merchants. 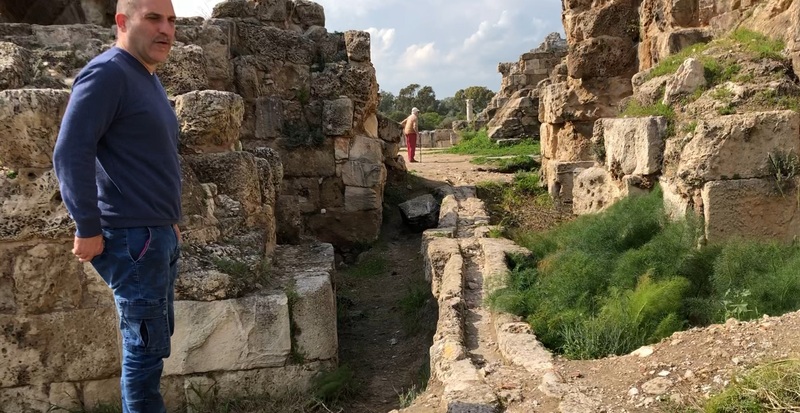 Some scholars believe Salamis was once the largest city on Cyprus, and that it may have been the capital around c. 1100 BC. 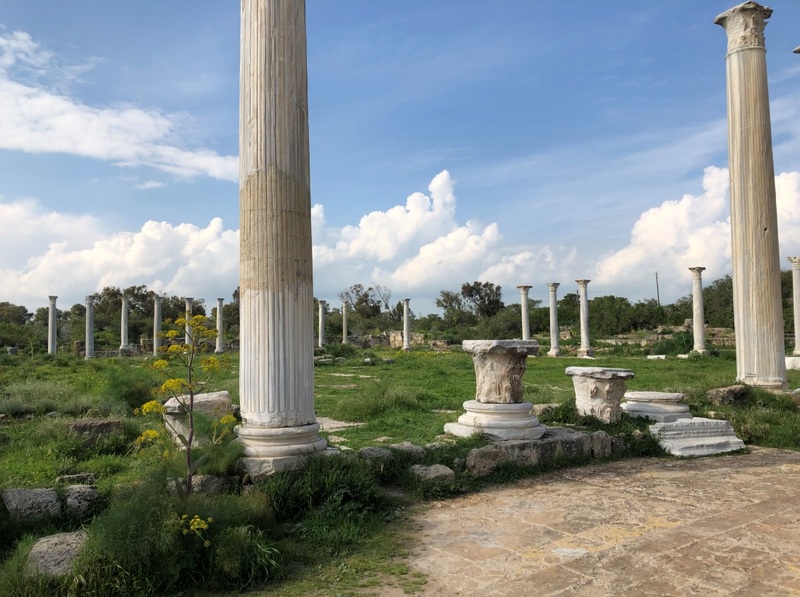 Tradition holds that Salamis was the first stop on Paul the Apostle’s journey to teach the gospel of Christ to the first-century world. 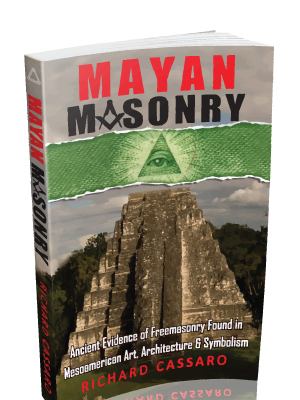 Many of the structures were constructed from finely cut masonry (large ashlars, but not megalithic). 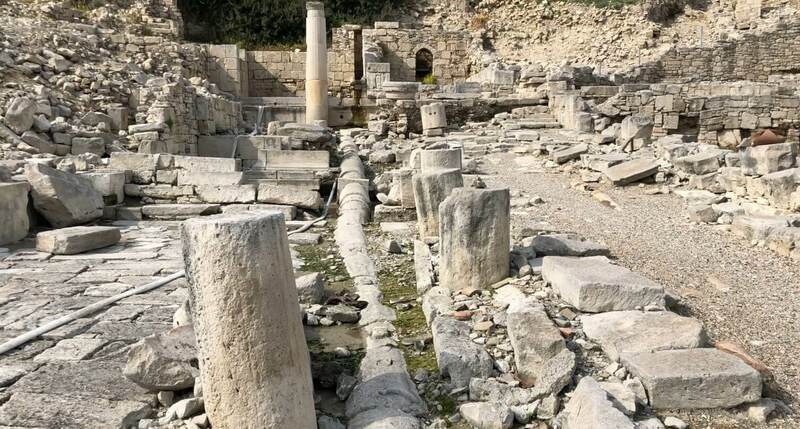 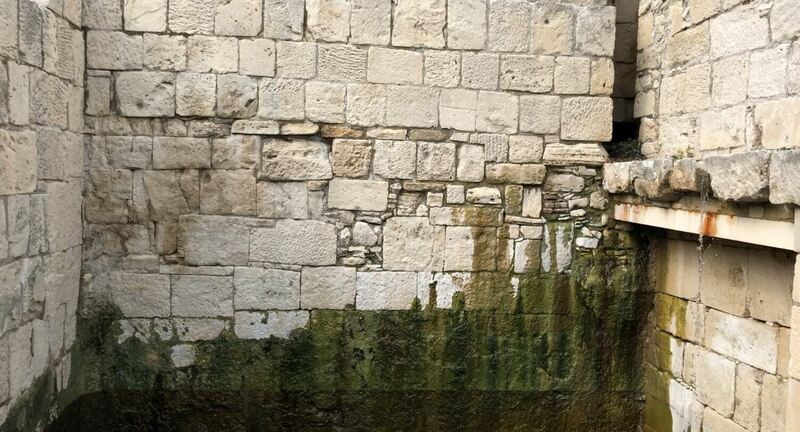 For example, the Roman baths are among the best preserved archaeological ruins here. 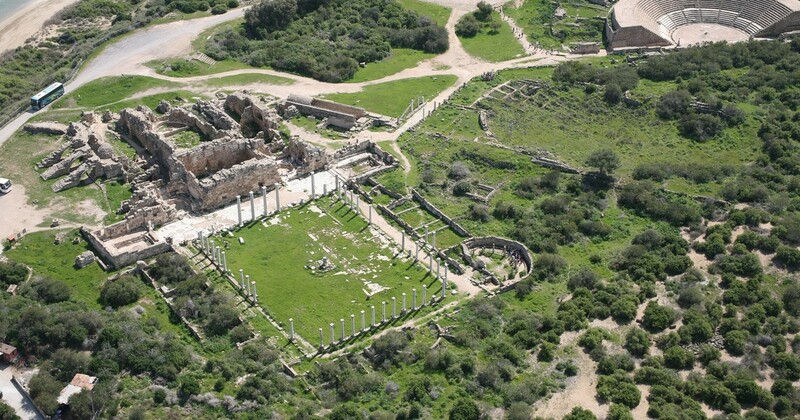 Salamis´s massive outdoor theater, which is perhaps the site´s most spectacular ruin, is said to have once sat up to 15,000 people. 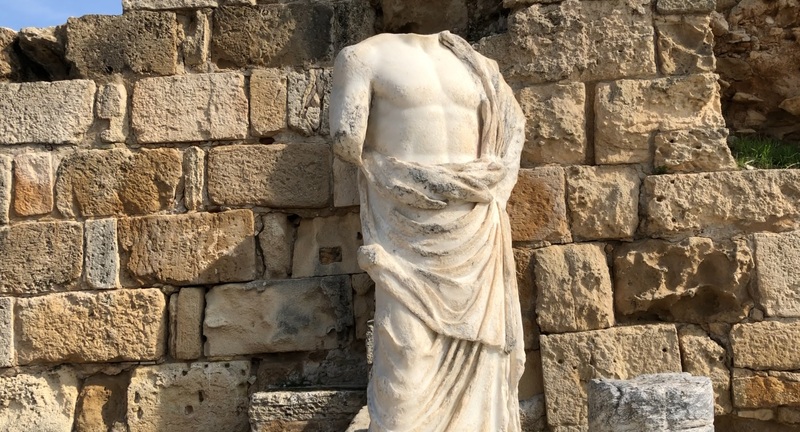 Many statues are also visible at Salamis, and some are exceptionally well preserved. 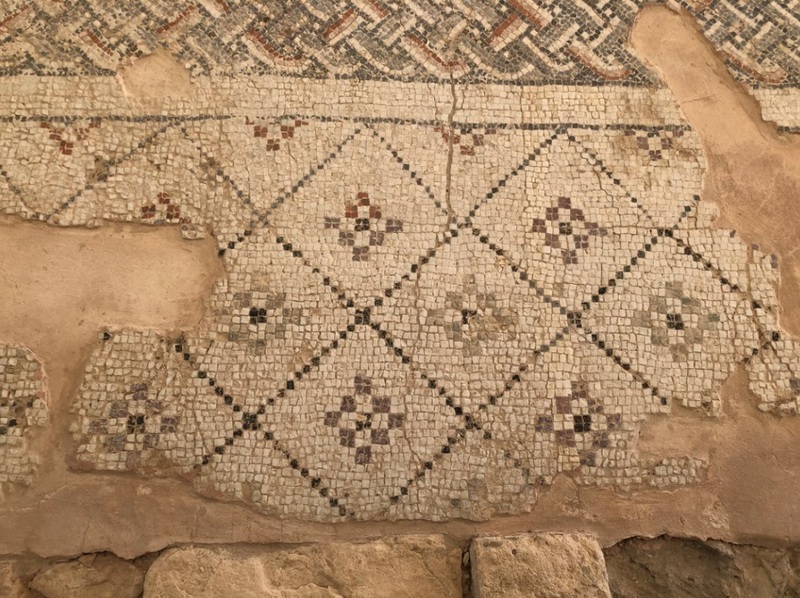 In the 7th Century AD, Arab invaders destroyed the city, forcing its inhabitants to flee south, where they built the medieval town of Famagusta (Magusa). 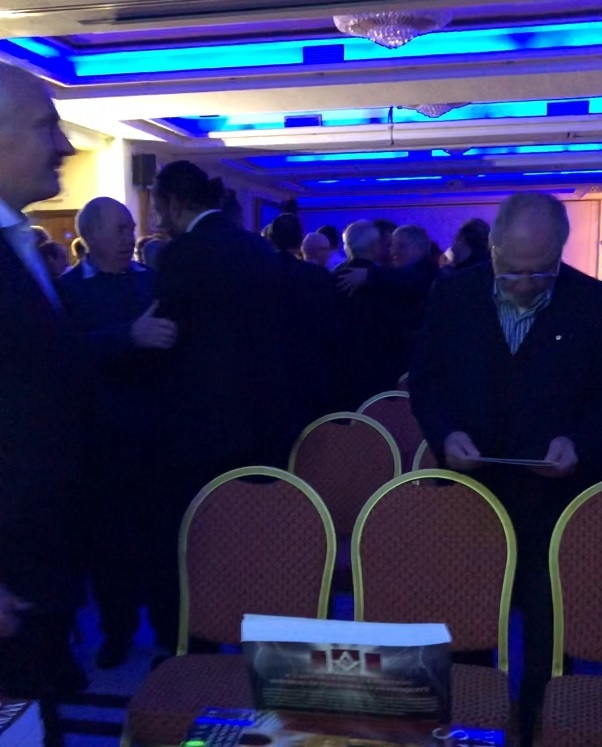 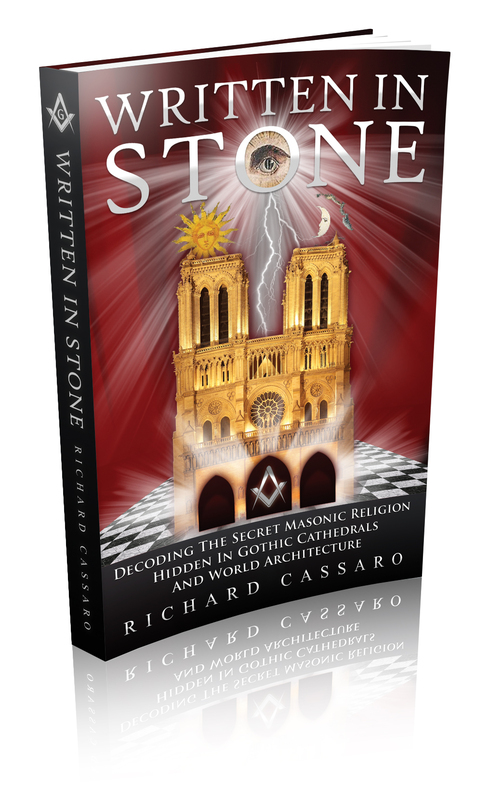 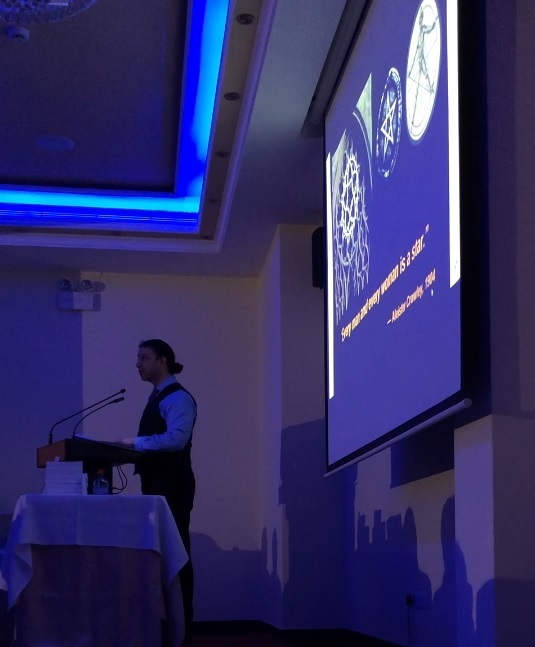 My lecture—where I presented my findings during my 25 years of research into ancient history, symbology, and occult science—was attended by approximately two hundred members and friends of the Brotherhood of Saint Hilarion. 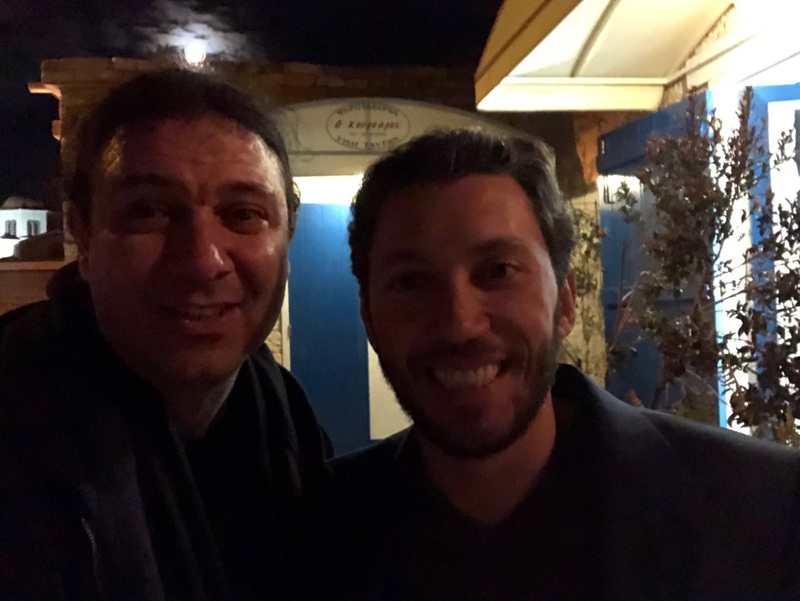 It was an evening I´ll never forget! 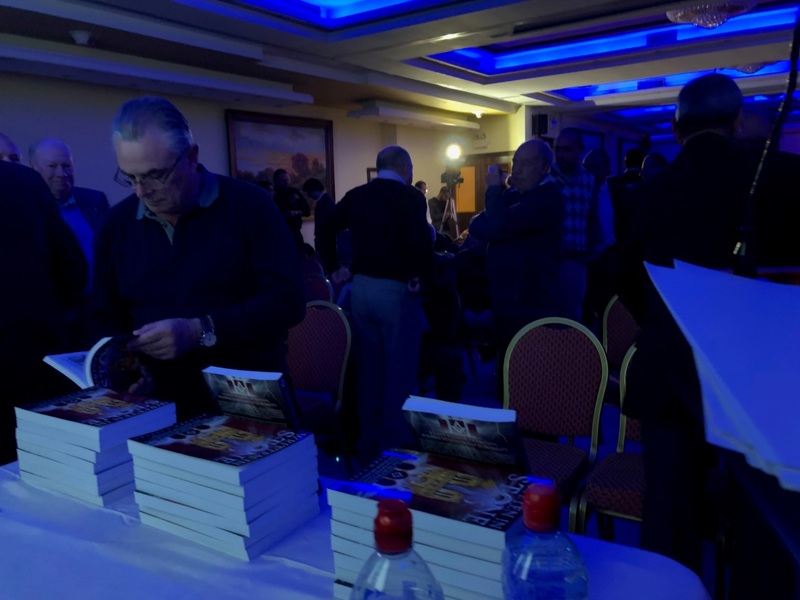 I met many kind, open-minded, intellectually curious men, women and young people. 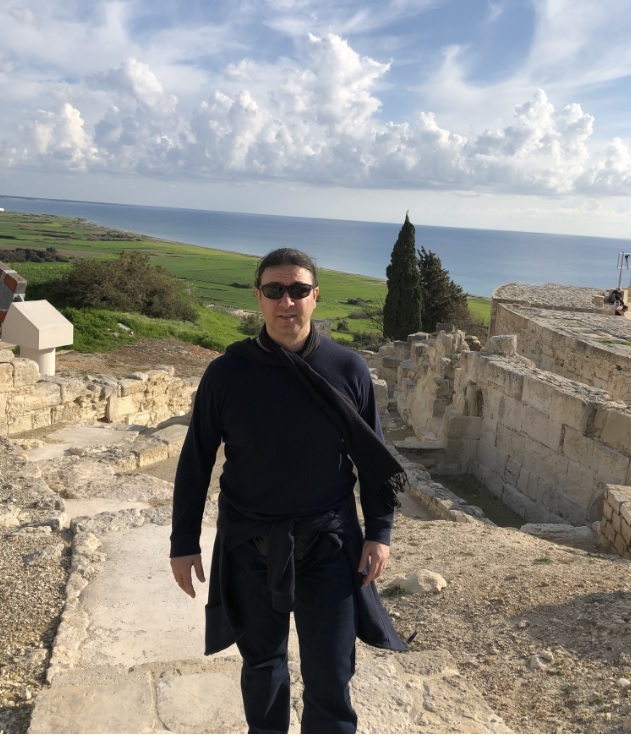 Everyone was so enthusiastic about the lecture that I was invited back to Cyprus to present a second lecture in 2020. 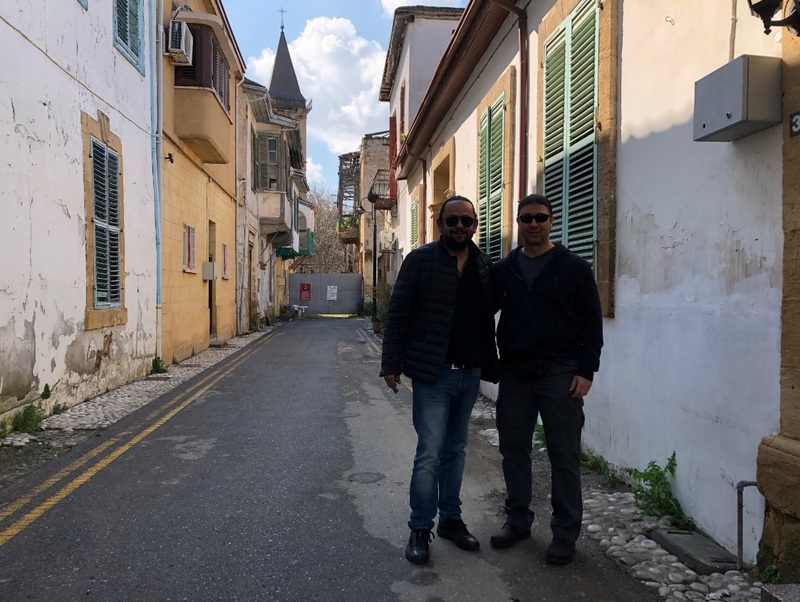 There may even be a documentary about Cyprus in the works. 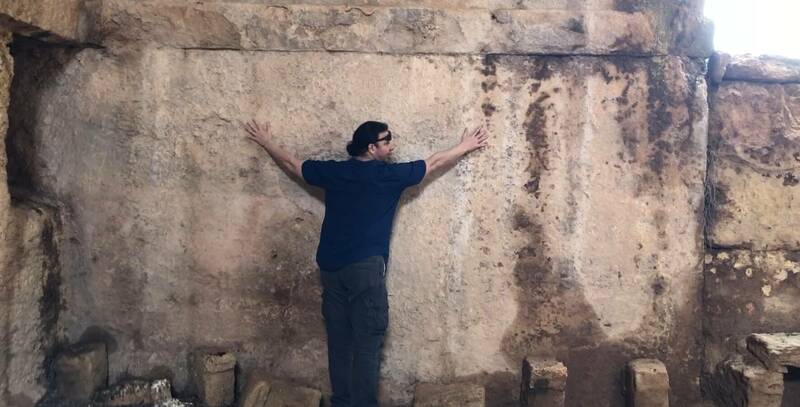 Keeping fingers crossed that this dream can be made into a reality. 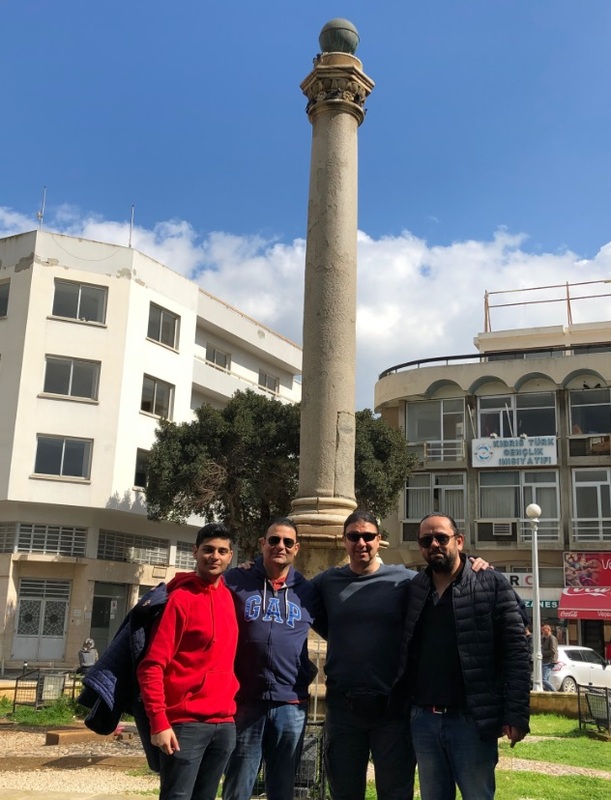 The best part of Cyprus for me was all the wonderful people I met during my stay. 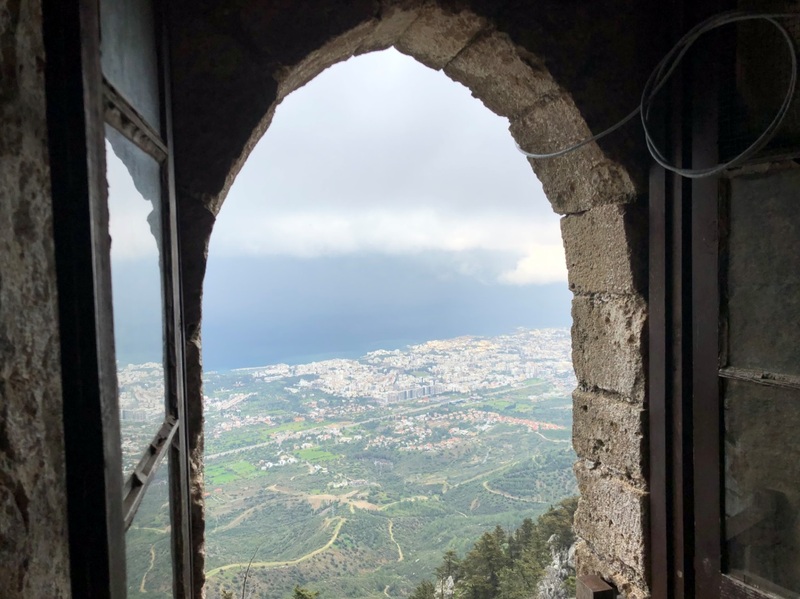 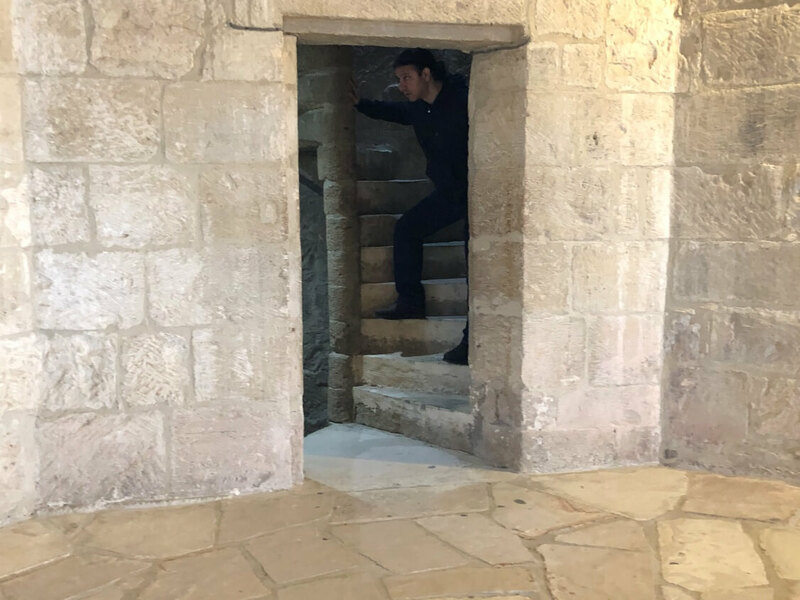 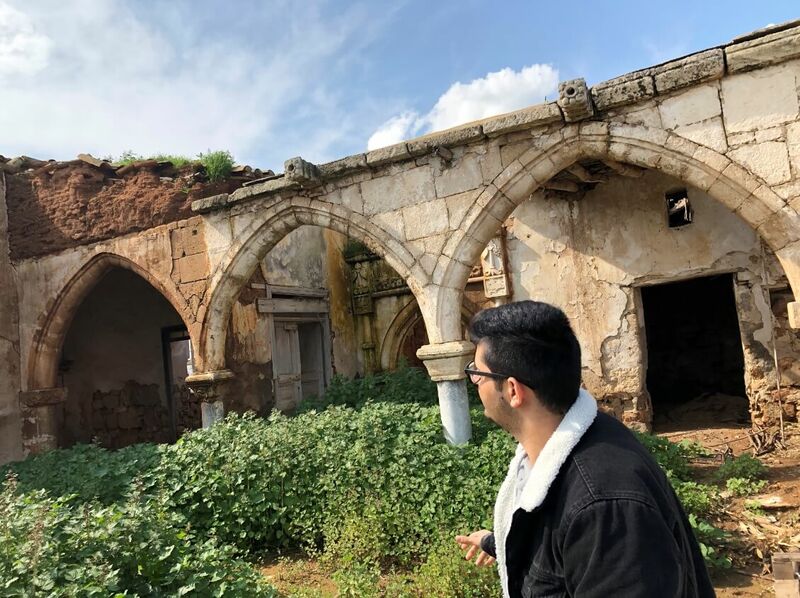 Over and above the art, architecture, ruins and artifacts that I was privileged to see, what made my Cyprus adventure so memorable was the many new friends I made among the Brotherhood of Saint Hilarion. 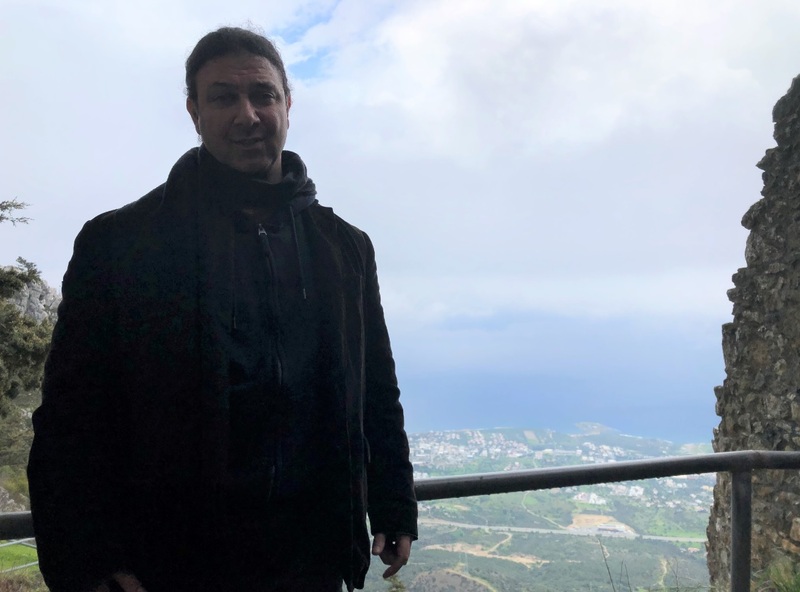 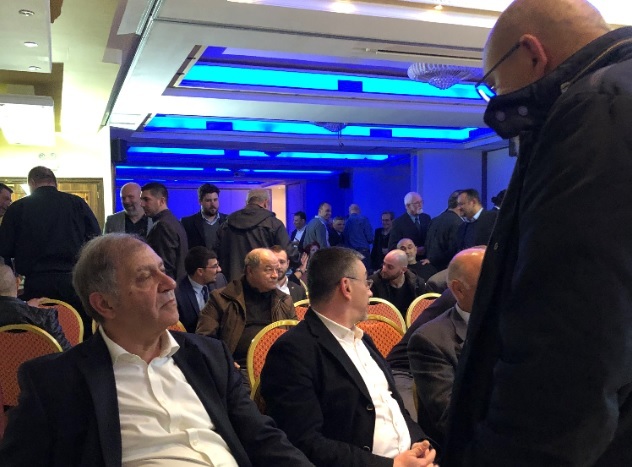 (Very special thanks and my heartfelt gratitude to Kerem Can, Erkut Culluoglu, Wissam Sabbah, Asim Vehbi, Ahmed Vehbi, Sam Eid, and Abbas Yildirim). 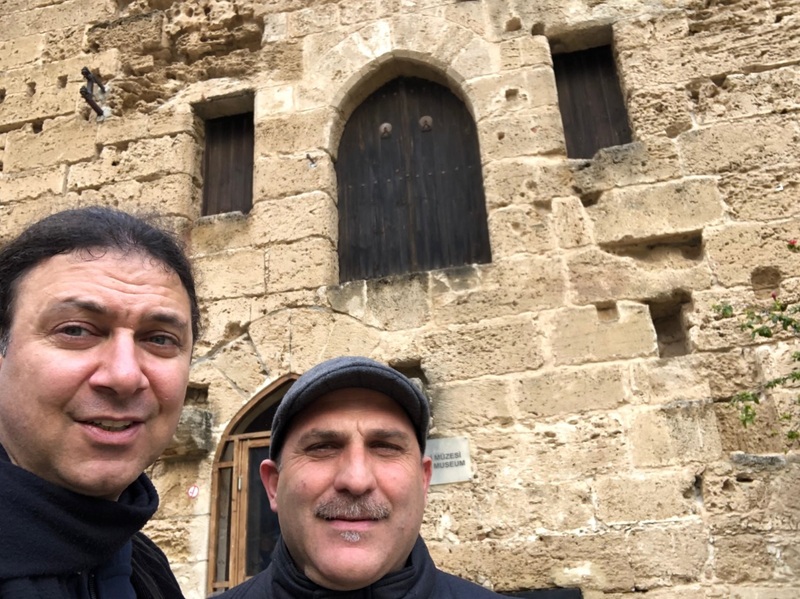 Cypriots are warm and wonderful people. 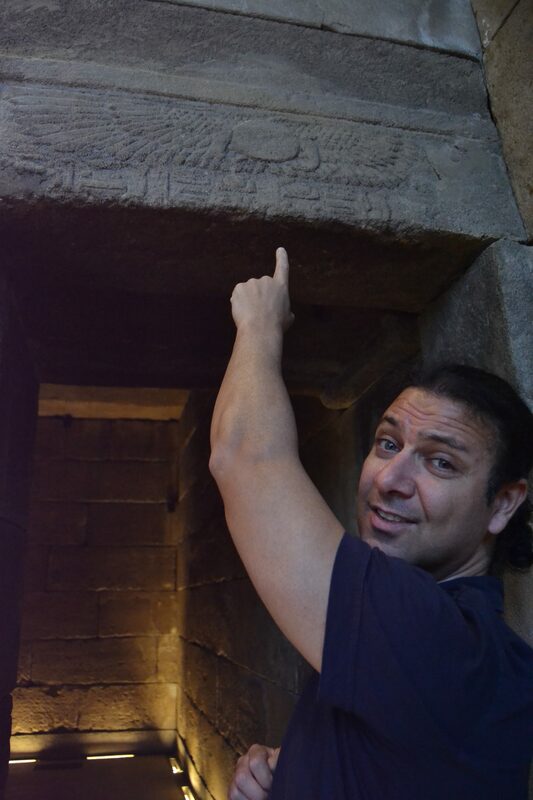 Kind, caring, curious, friendly, loving, and open-minded. 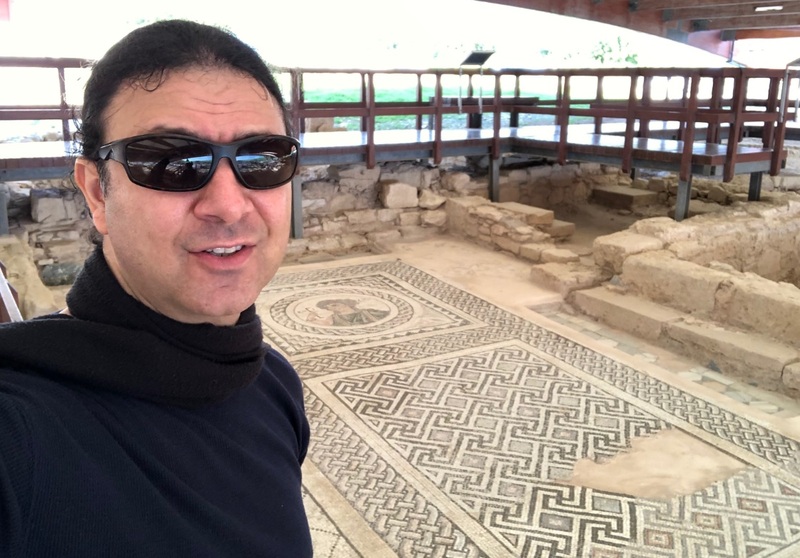 Now I know why tradition has it that Cyprus is the legendary birthplace of the ancient Greek goddess of love, Aphrodite!